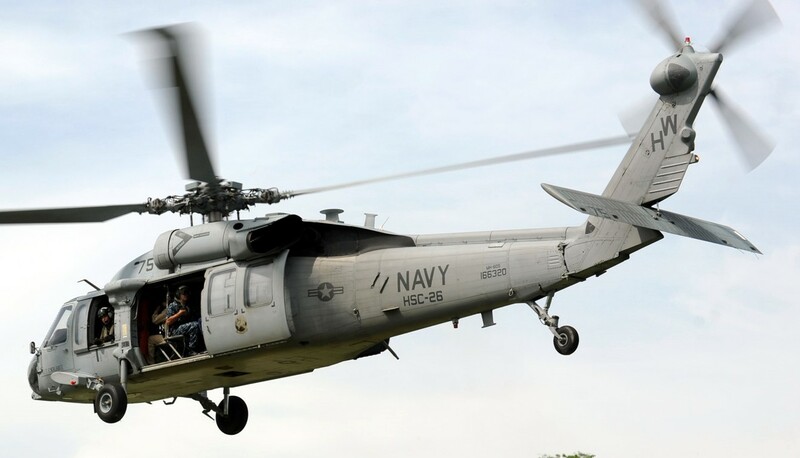 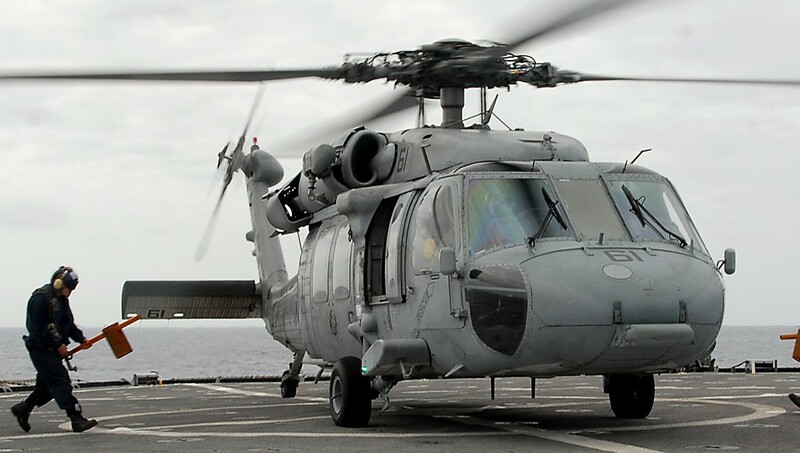 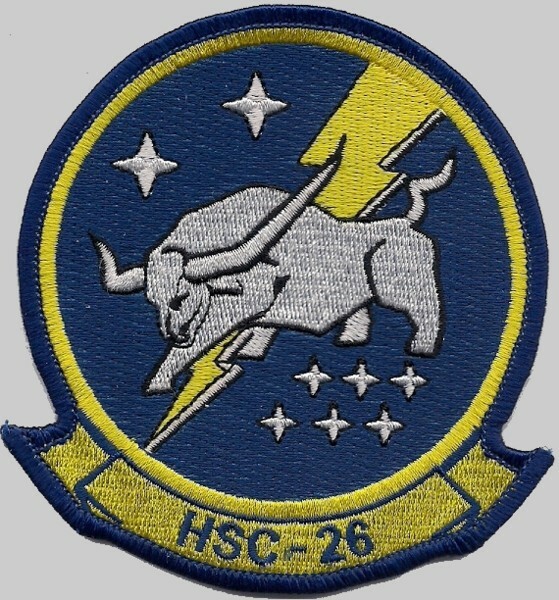 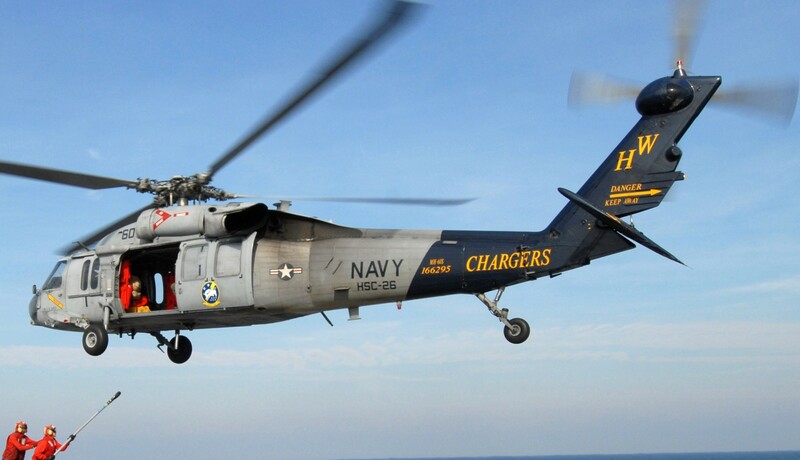 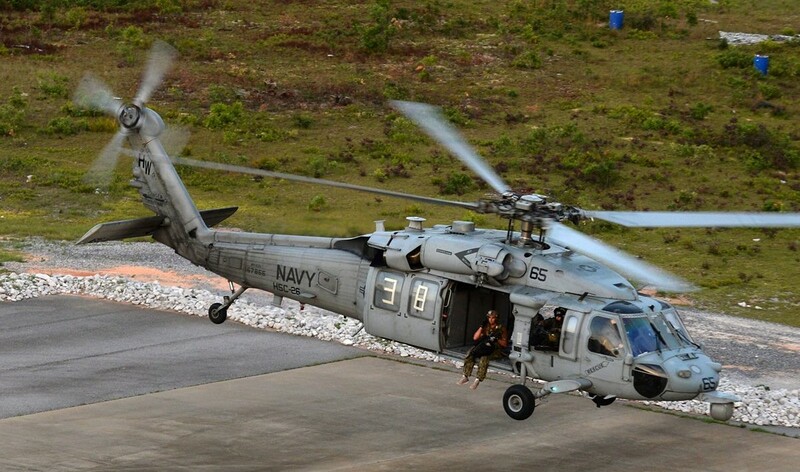 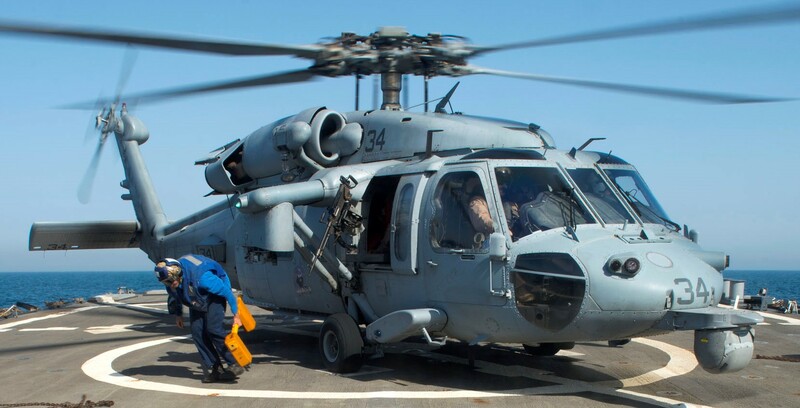 Helicopter Sea Combat Squadron Two Six (HSC-26) traces its rich history to Naval Station Lakehurst, New Jersey, where Helicopter Utility Squadron Two (HU-2) was formed in 1948. 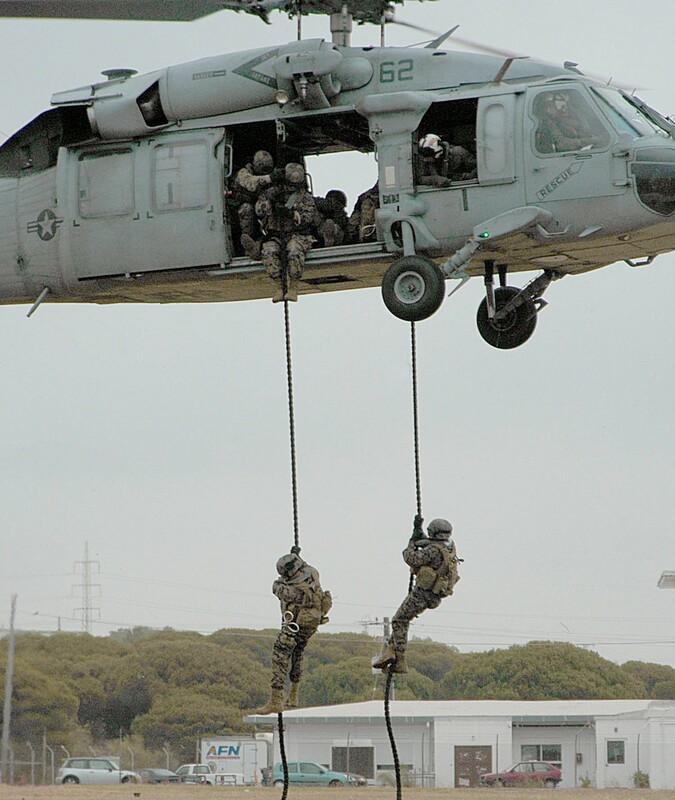 HU-2 was the second United States Naval helicopter squadron, flying the tandem rotor Piasecki H-25/HUP Retriever, perfoming search and rescue operations. 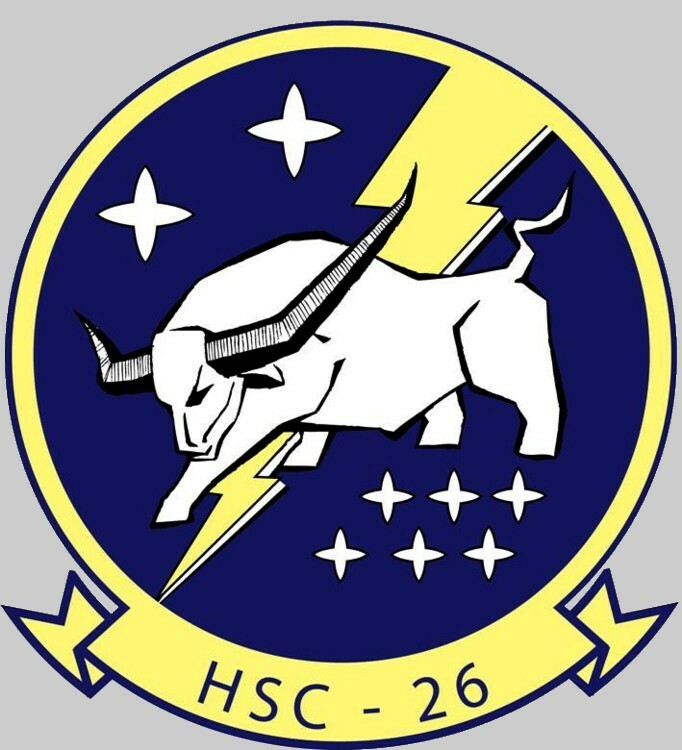 On July 1, 1960, the squadron split to form HU-4. 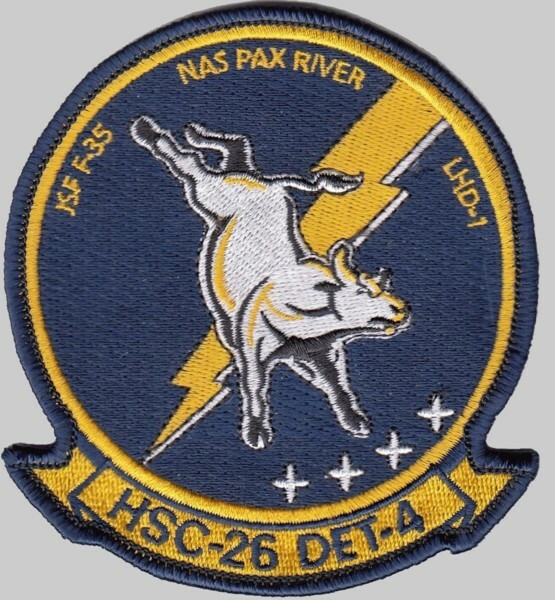 On September 1, 1967, an HU-4 detachment at NAS Norfolk had grown so large that it was designated its own squadron, Helicopter Support Squadron Six (HC-6), the "Chargers". 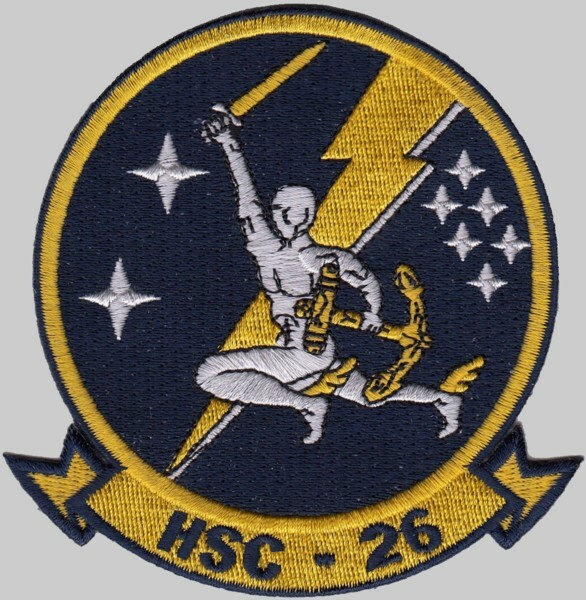 Originally a search and rescue squadron, HC-6 soon added vertical replenishment (VERTREP) as a primary mission. 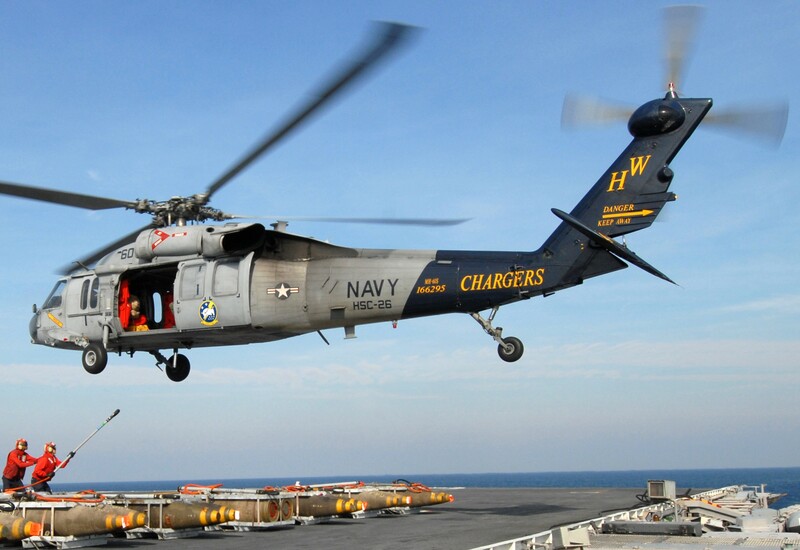 By 1987, after having flown the H-25 HUP, H-43C HUK, H-34 Sea Horse, H-2B Sea Sprite, H-3 Sea King, and H-53 Sea Dragon, HC-6 was completely transitioned to the H-46D Sea Knight, which they would fly exclusively for the next 15 years. 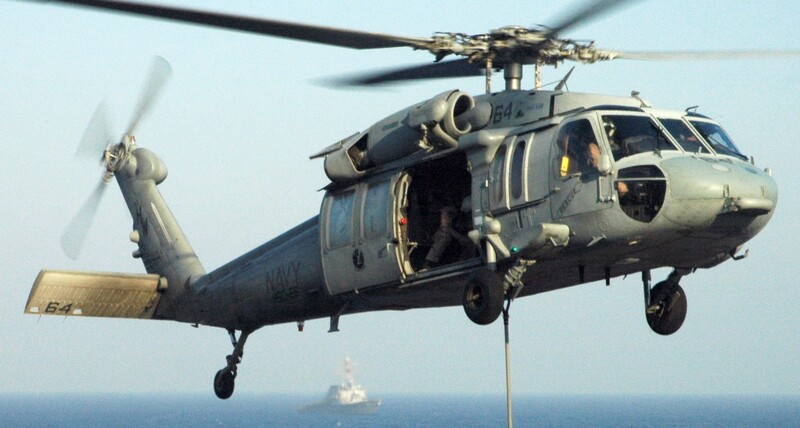 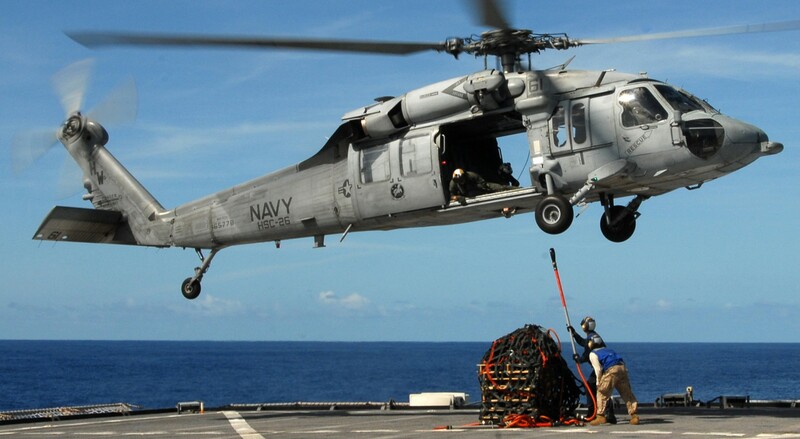 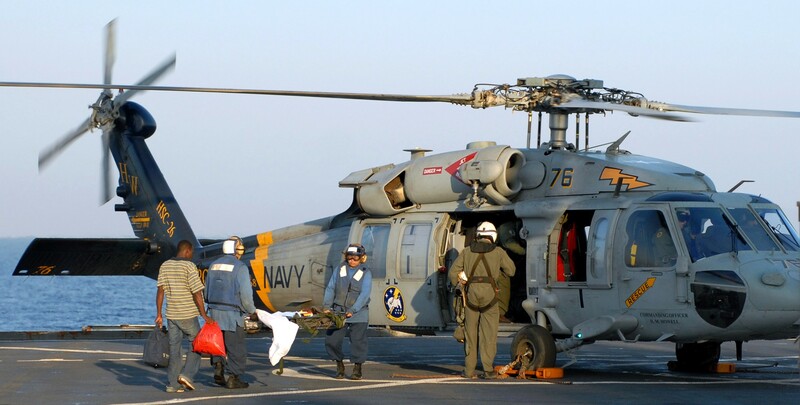 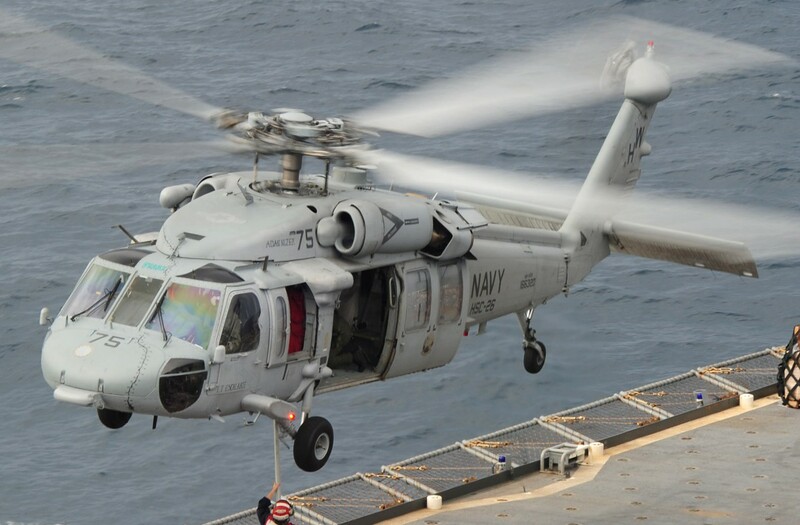 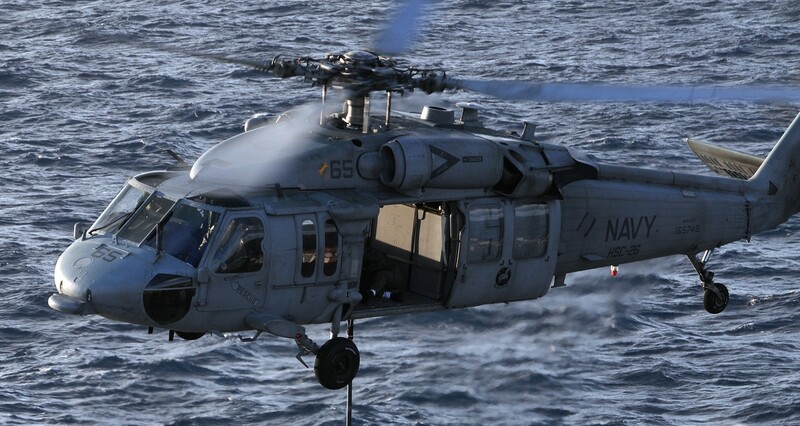 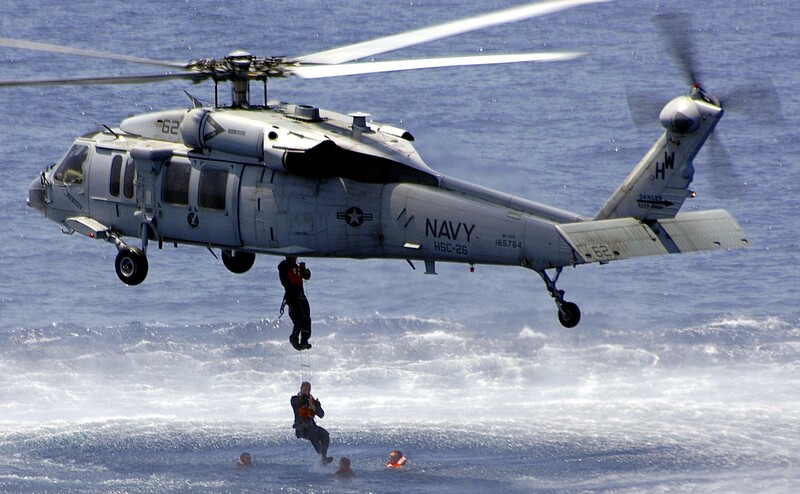 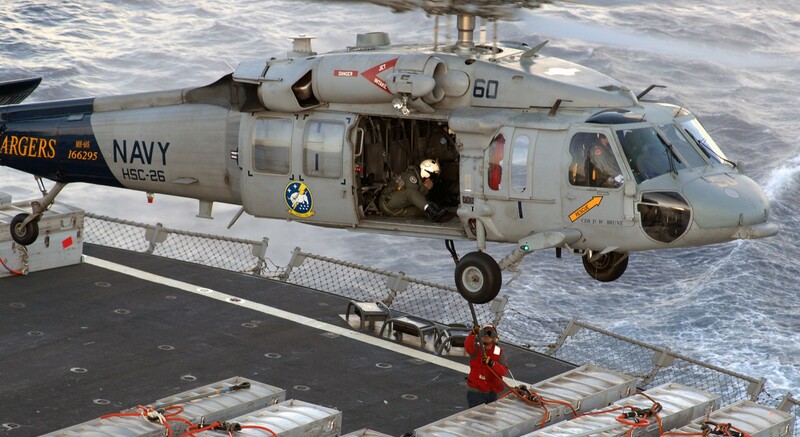 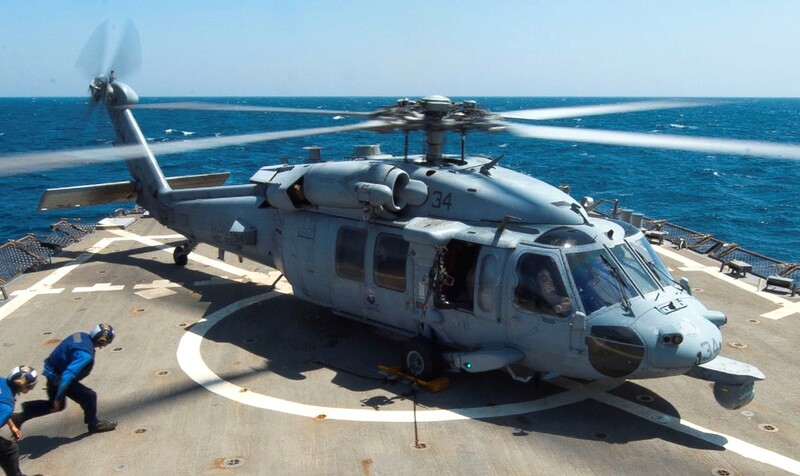 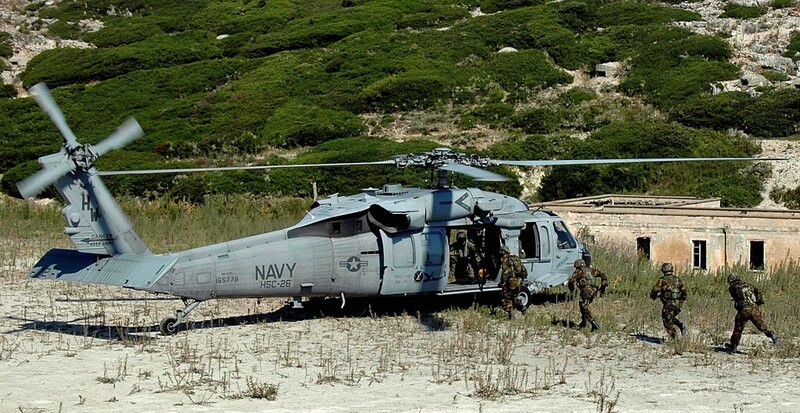 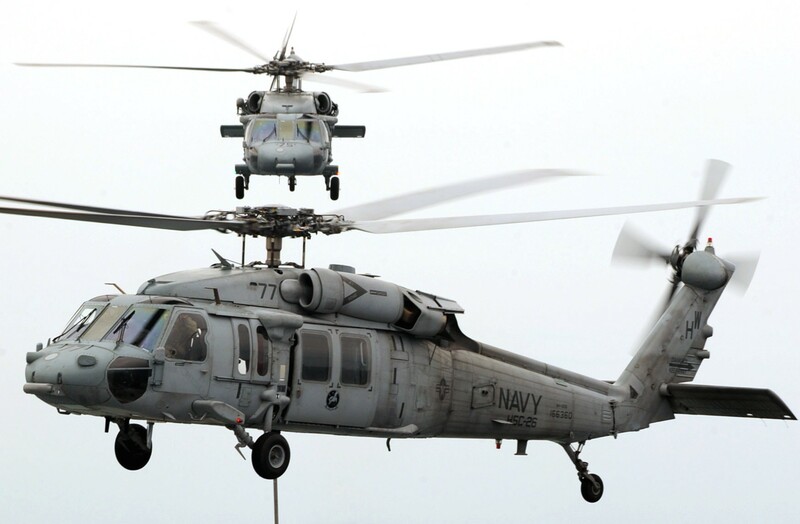 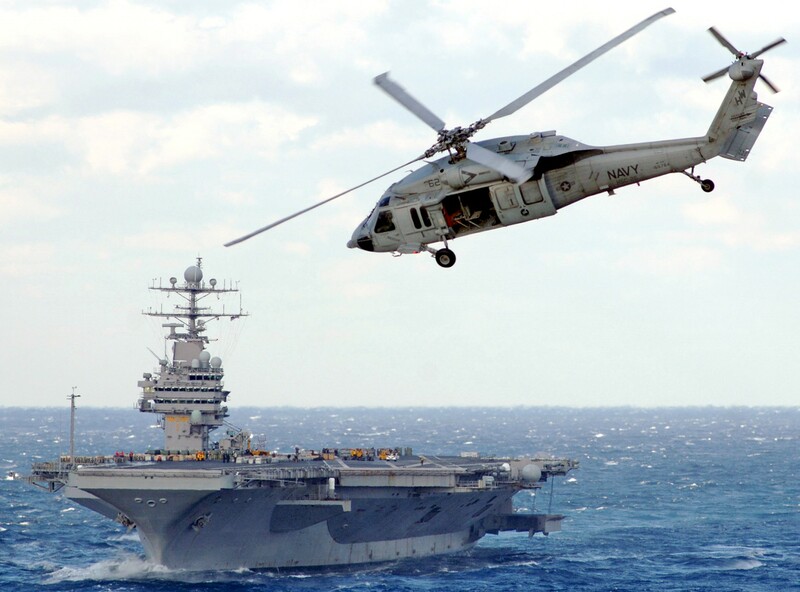 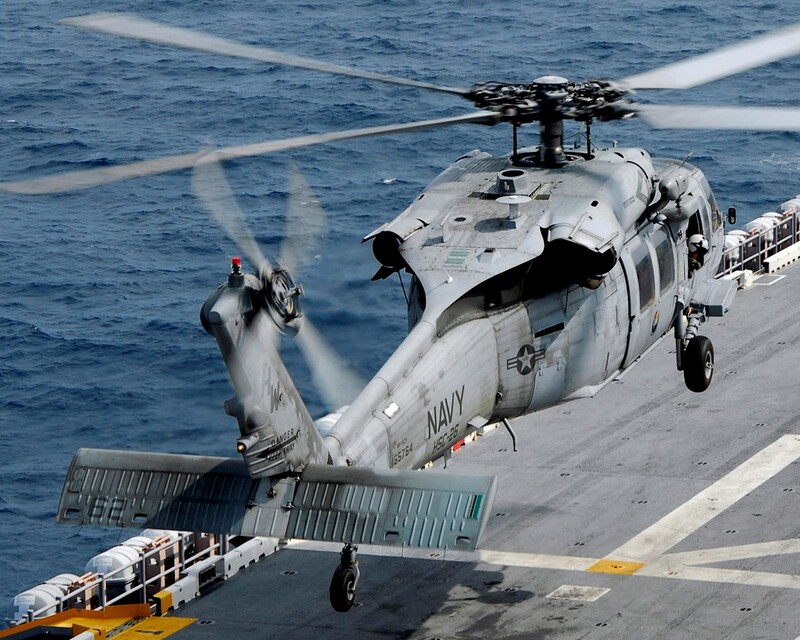 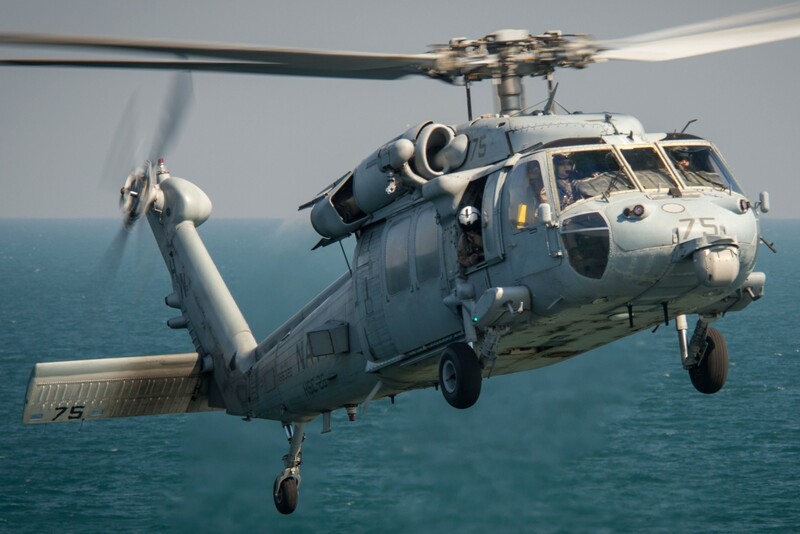 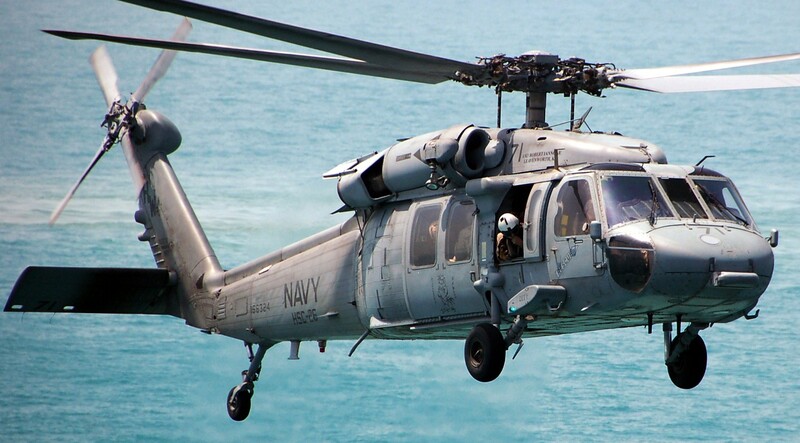 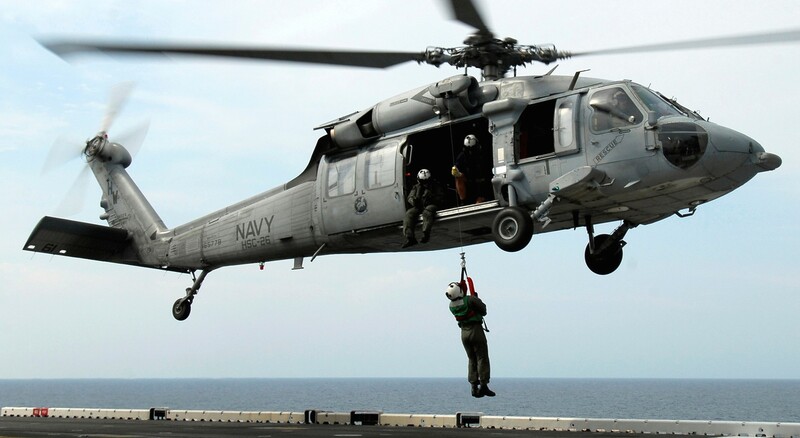 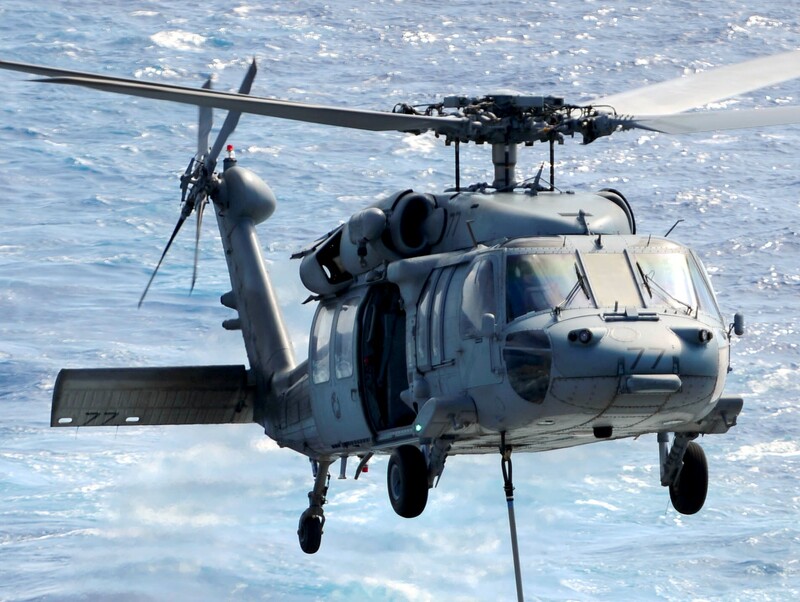 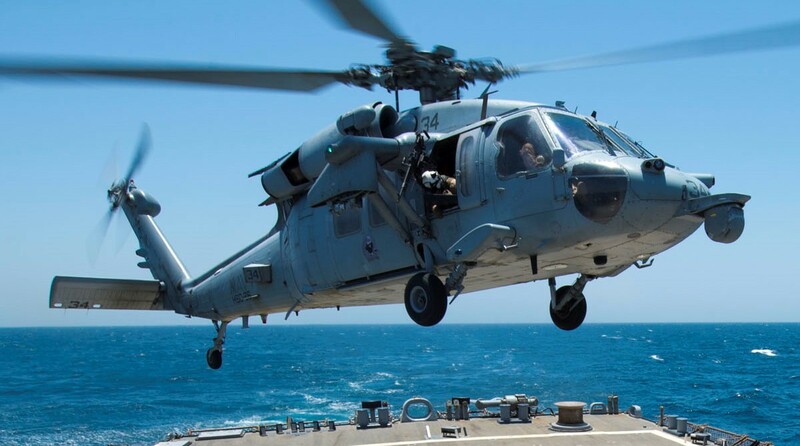 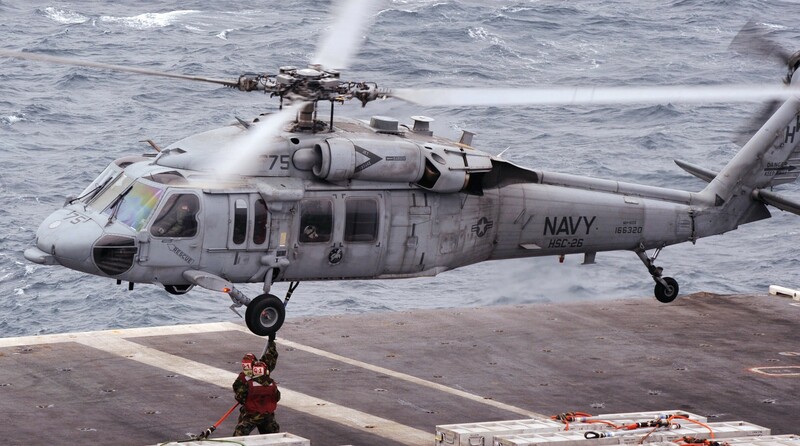 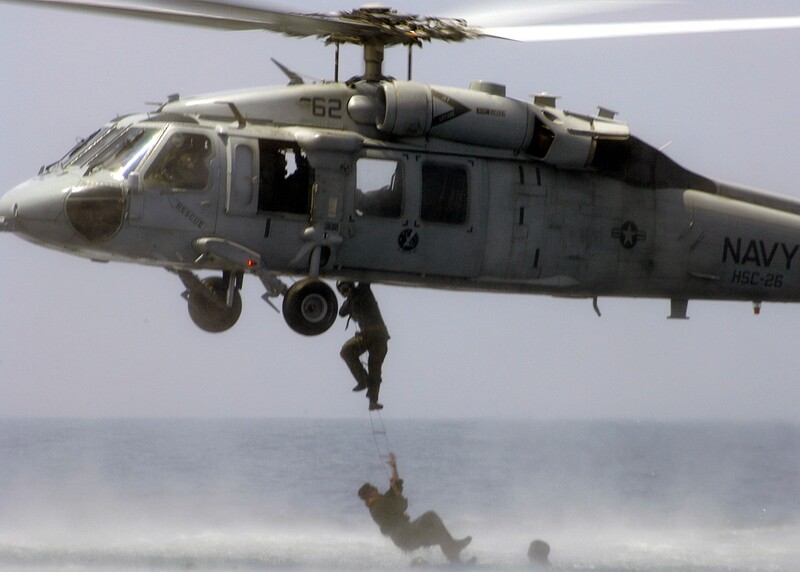 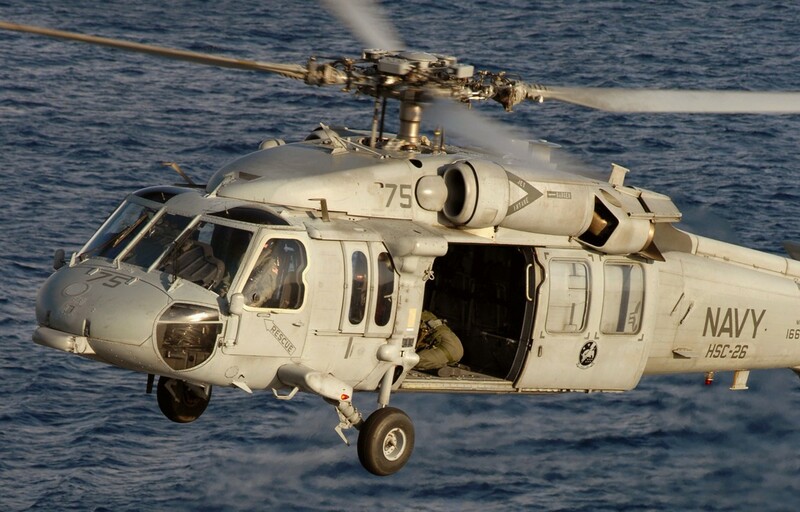 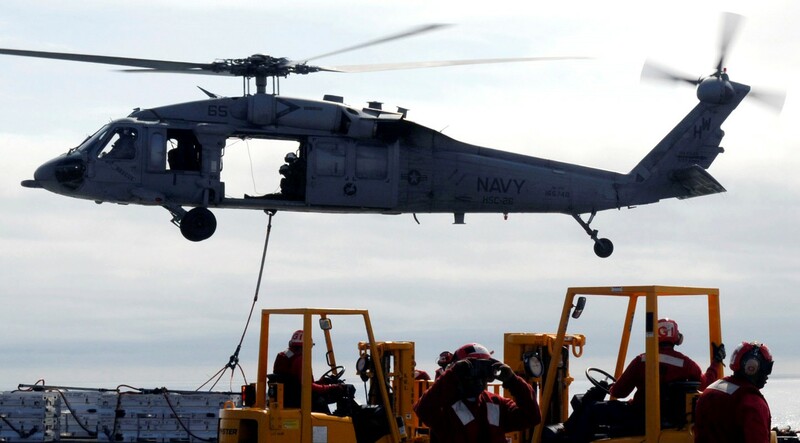 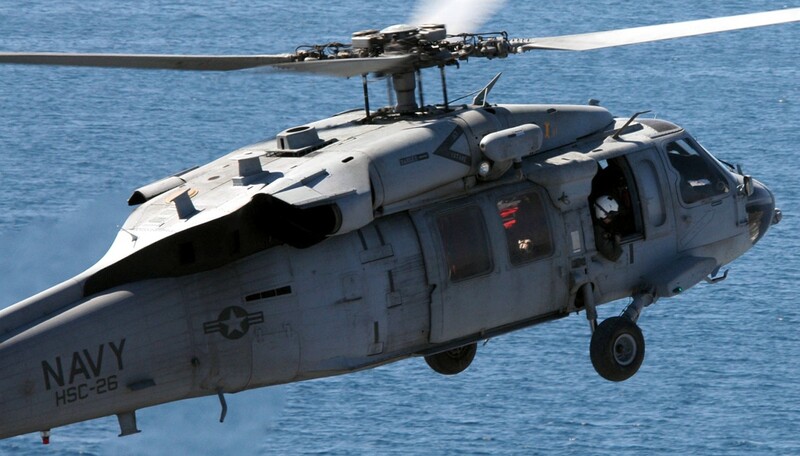 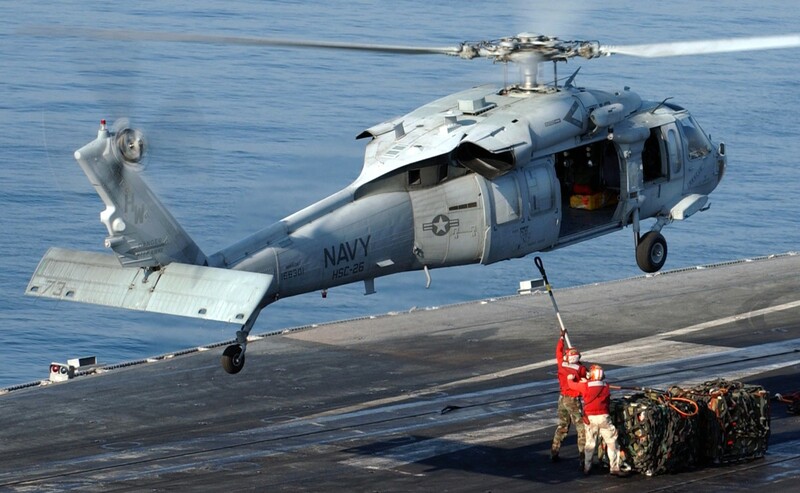 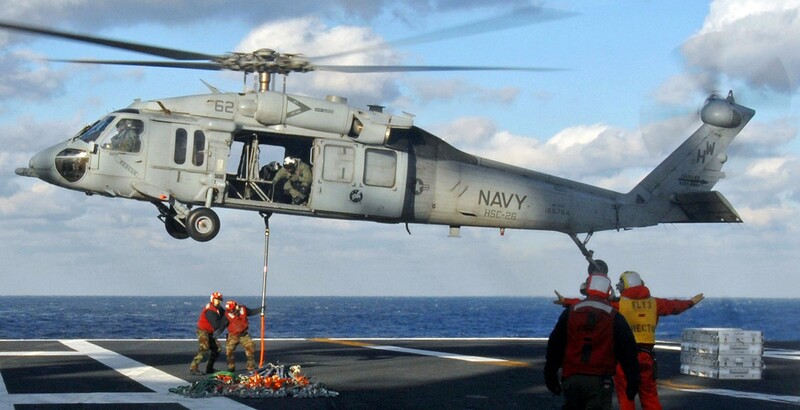 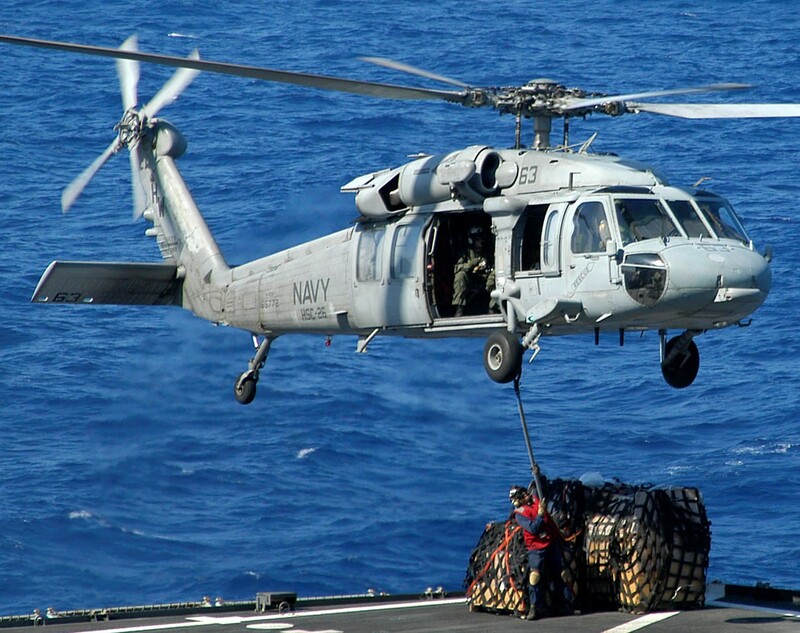 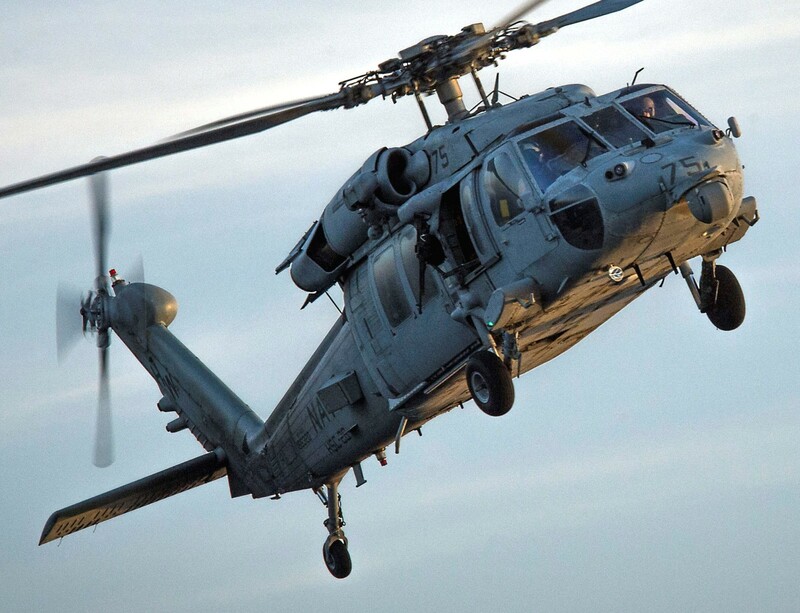 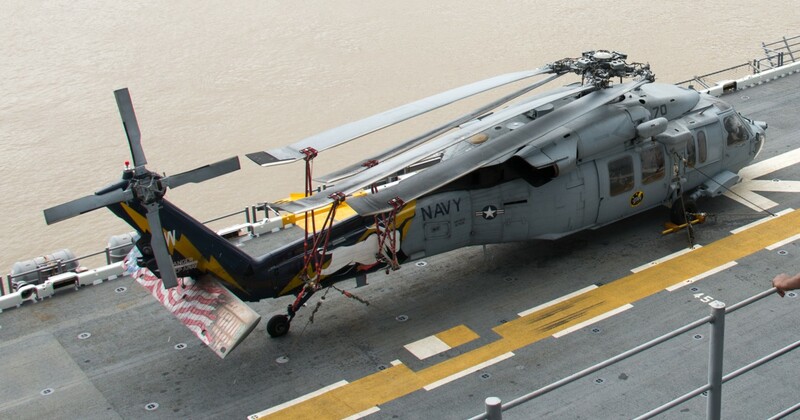 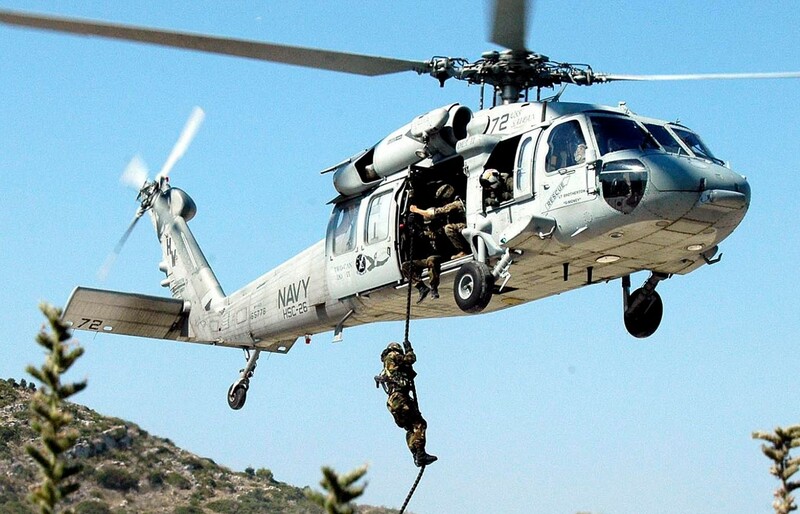 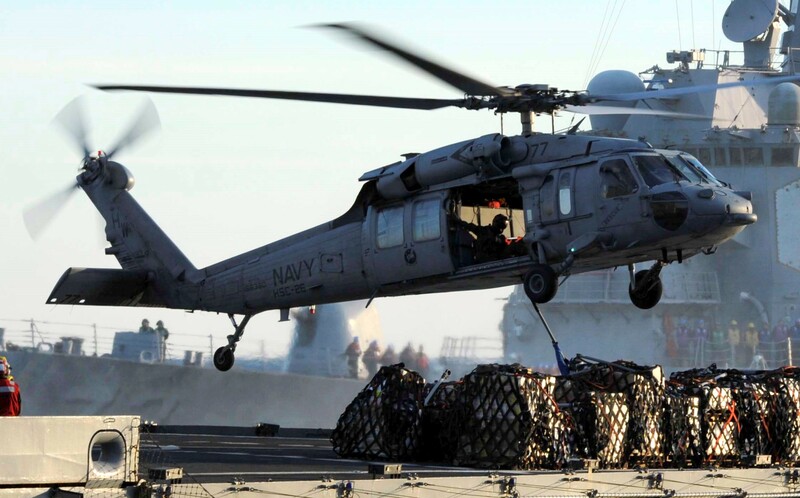 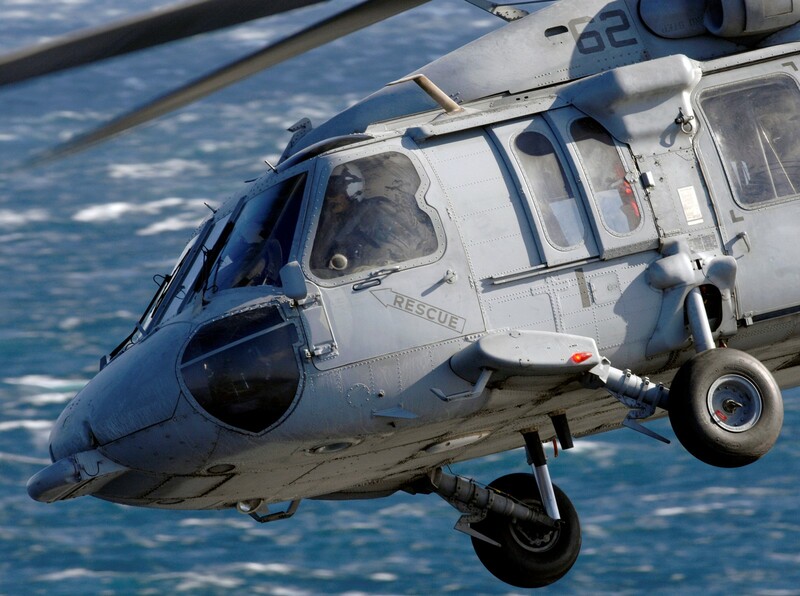 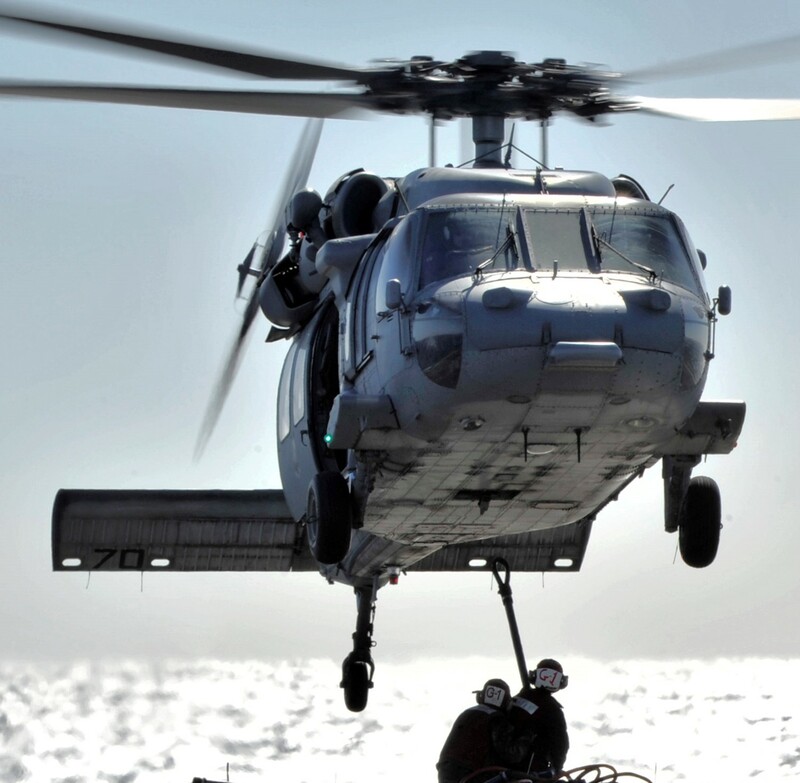 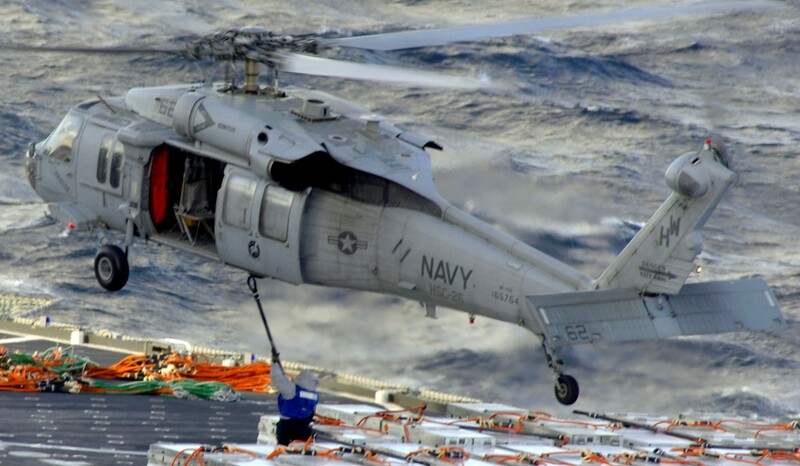 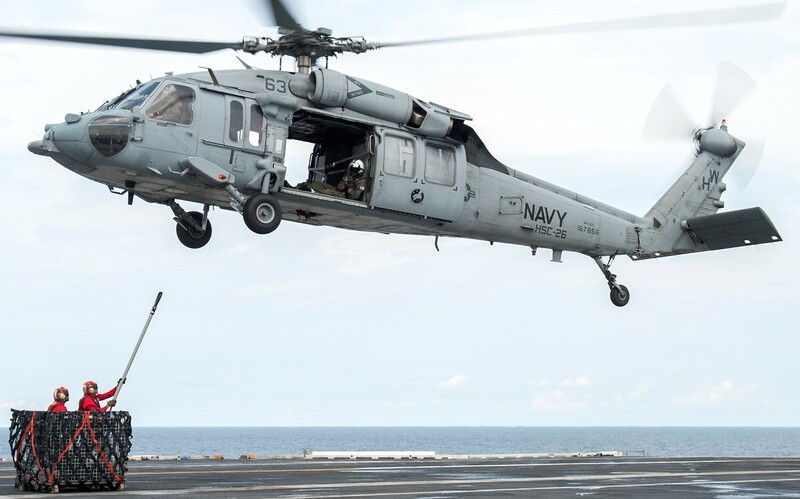 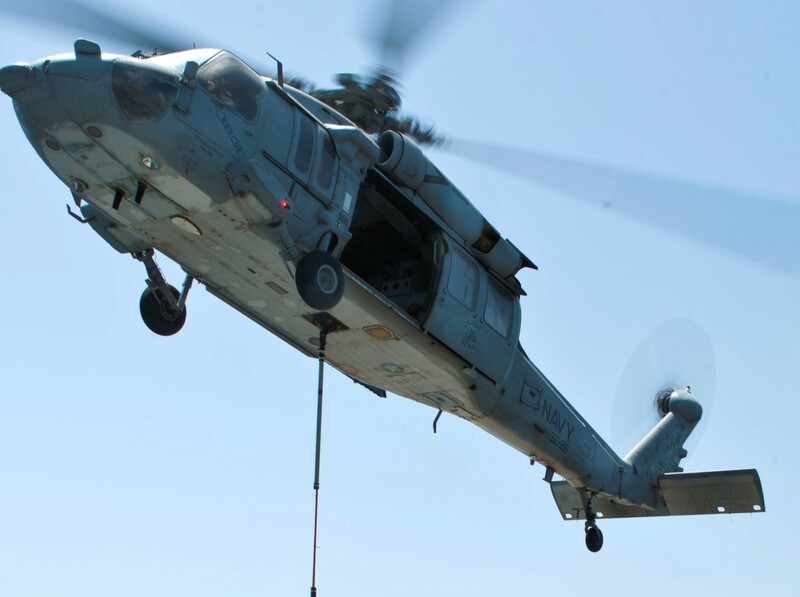 In 2002, the squadron transitioned aircraft once again, introducing the MH-60S Knighthawk to the Atlantic Fleet, conducting the first operational deployment and first at-sea rescue with the new helicopter. 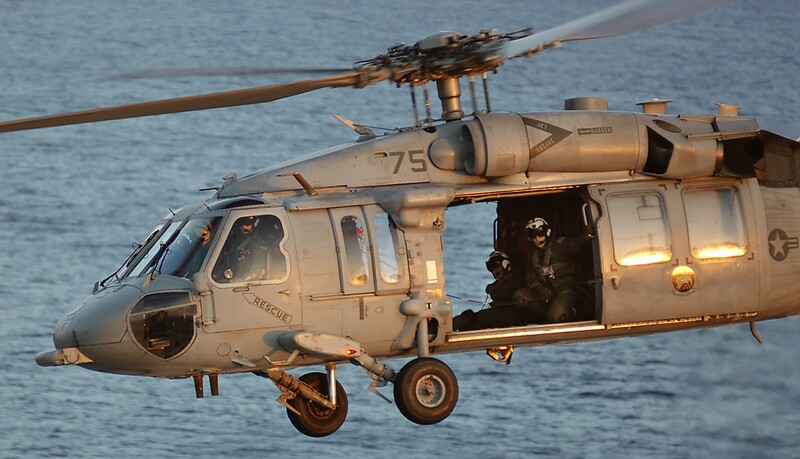 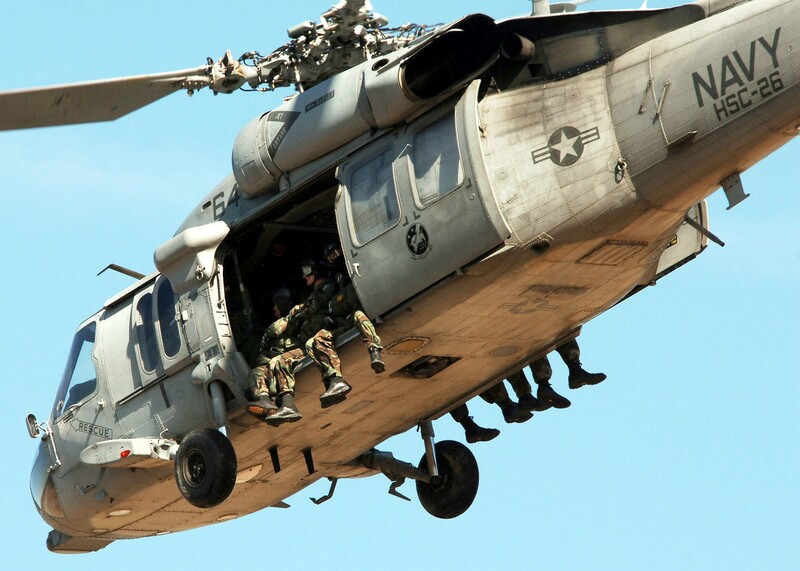 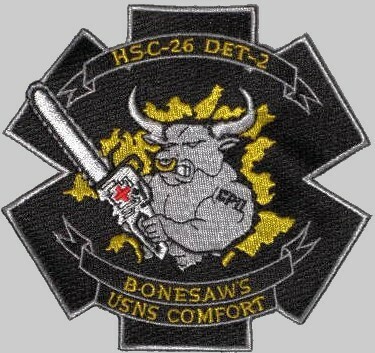 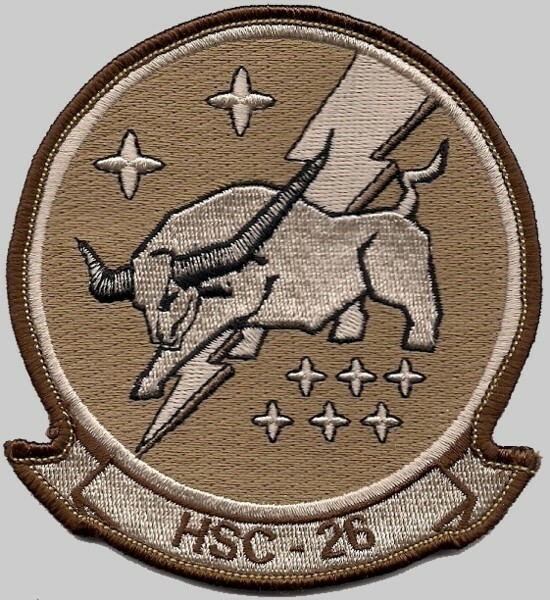 On April 1, 2005, in accordance with the Navy's Helicopter Master Plan, the squadron was re-designated as HSC-26. 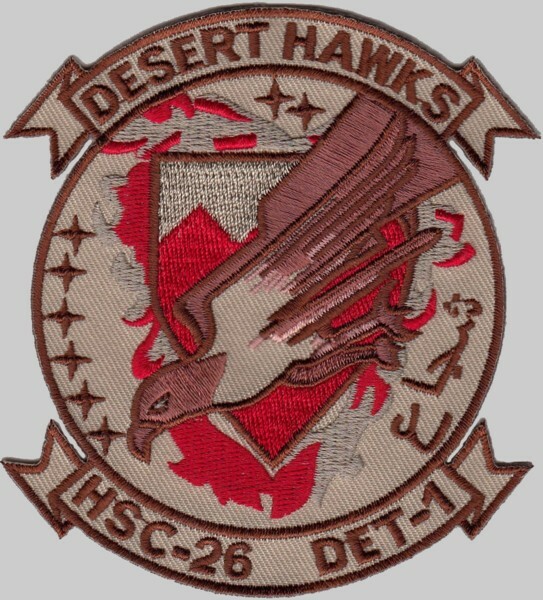 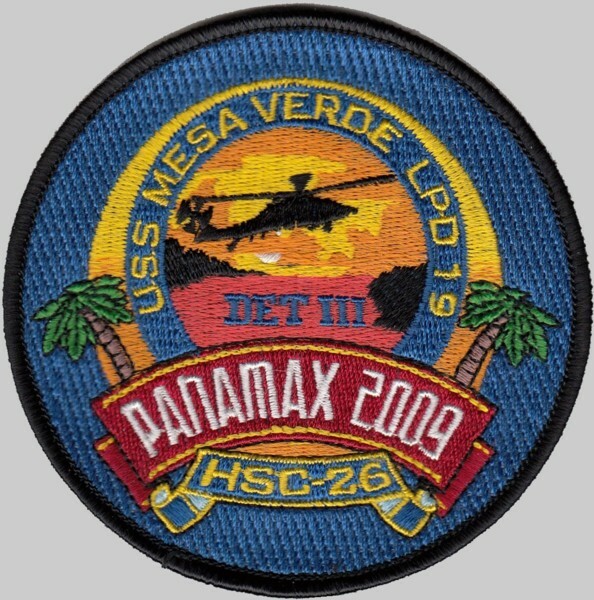 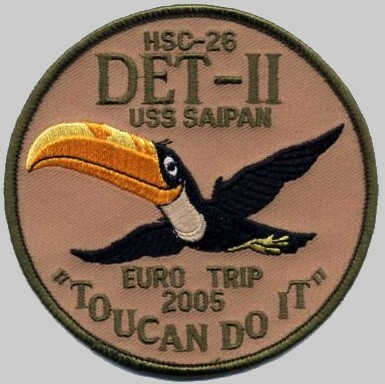 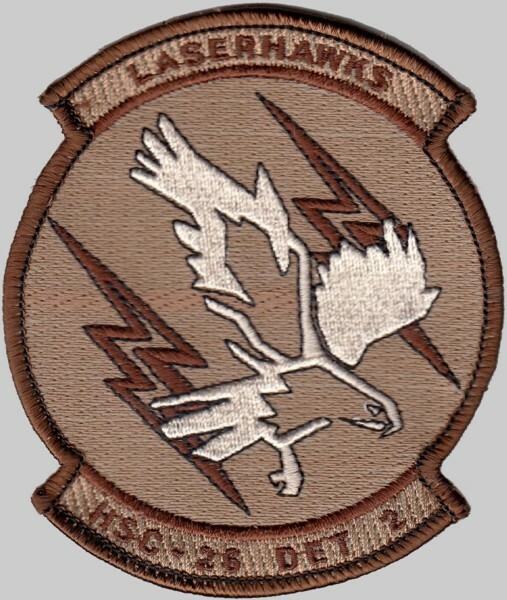 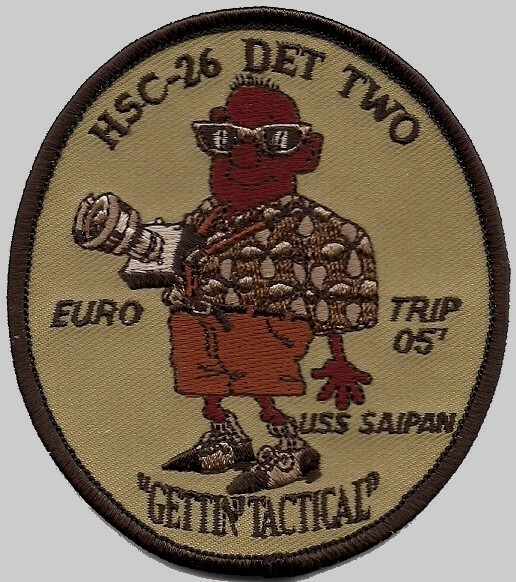 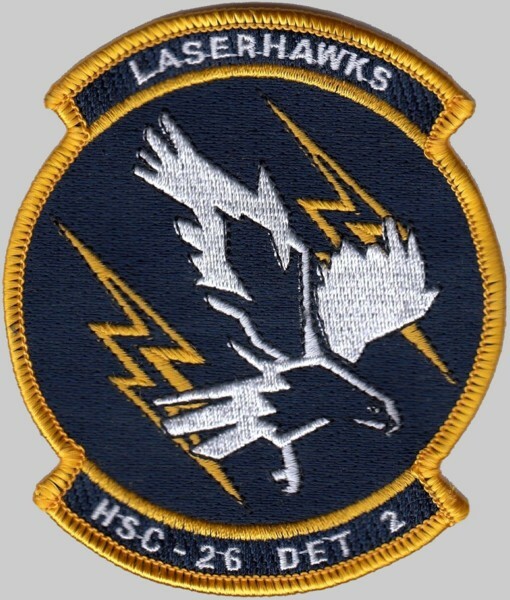 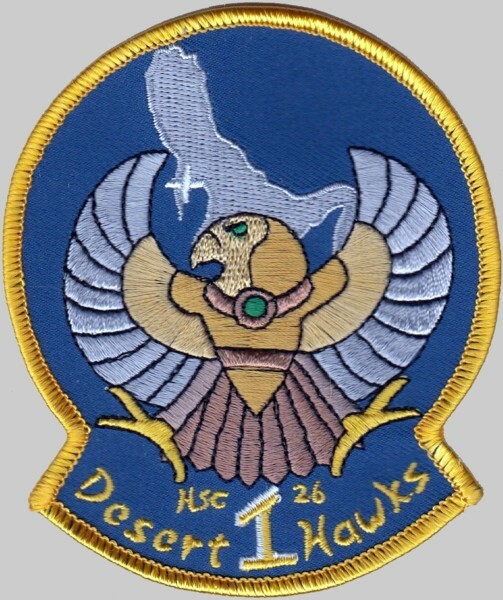 The Sailors of HSC-26 continually distinguish themselves across the globe, from support of shipboard logistics, special operations training, and mine countermeasures in the 1970's to Operations DESERT SHIELD, DESERT STORM in the 1990's, and current participation in IRAQI FREEDOM and ENDURING FREEDOM. 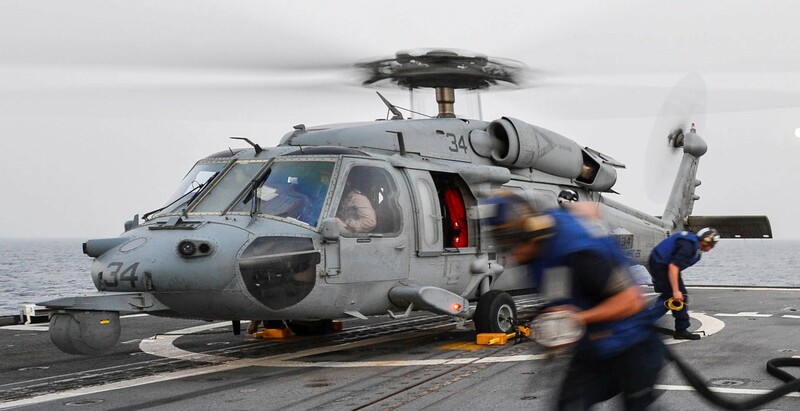 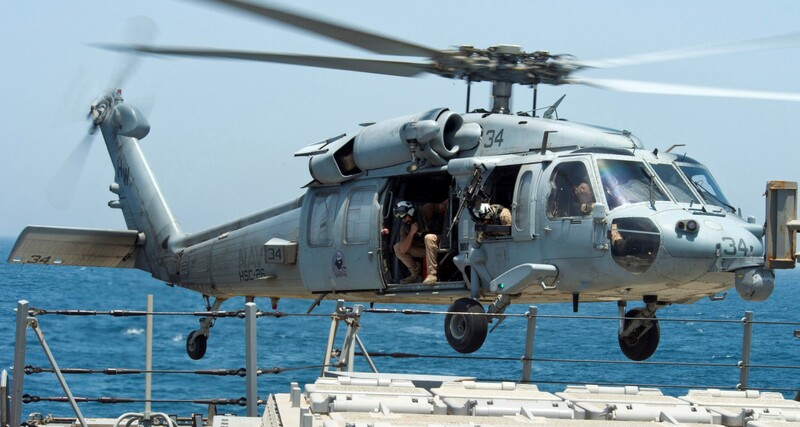 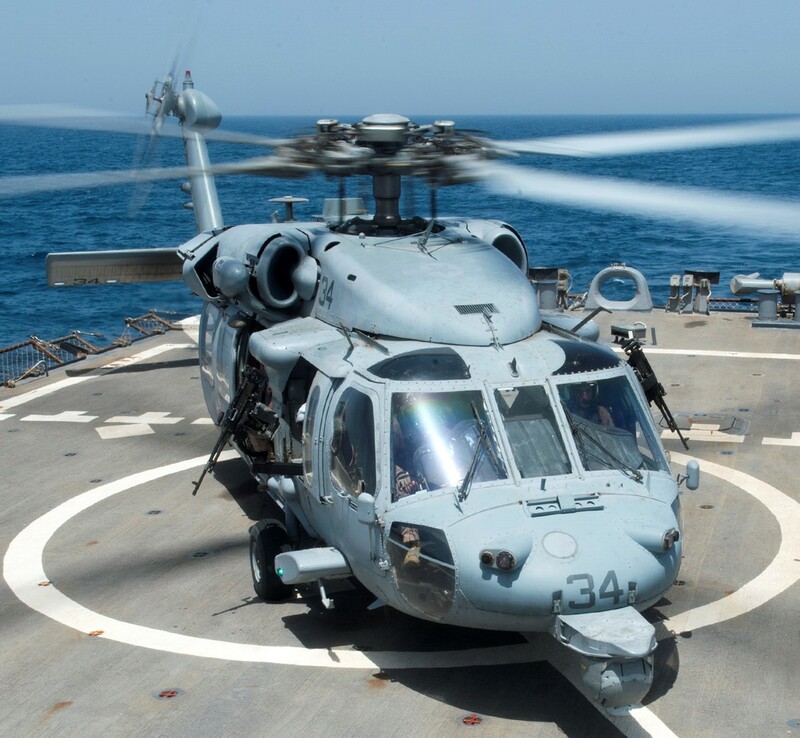 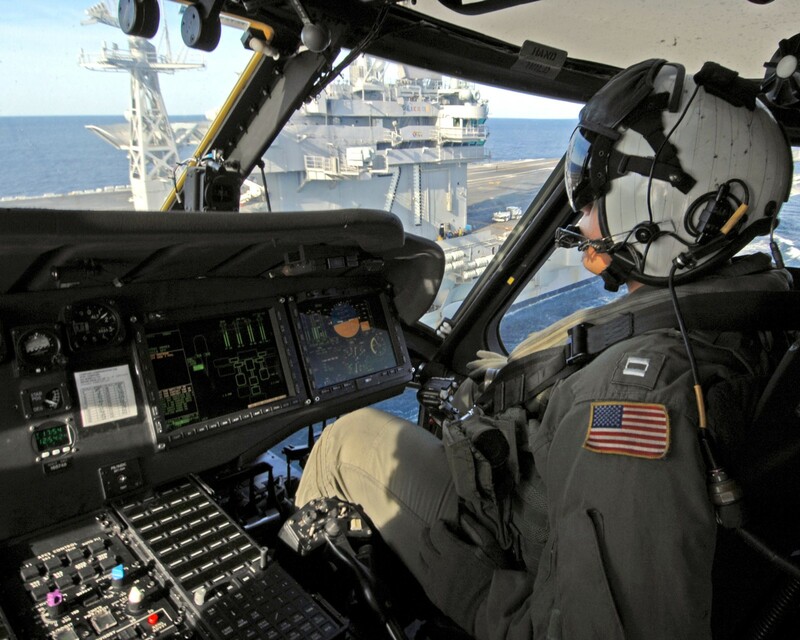 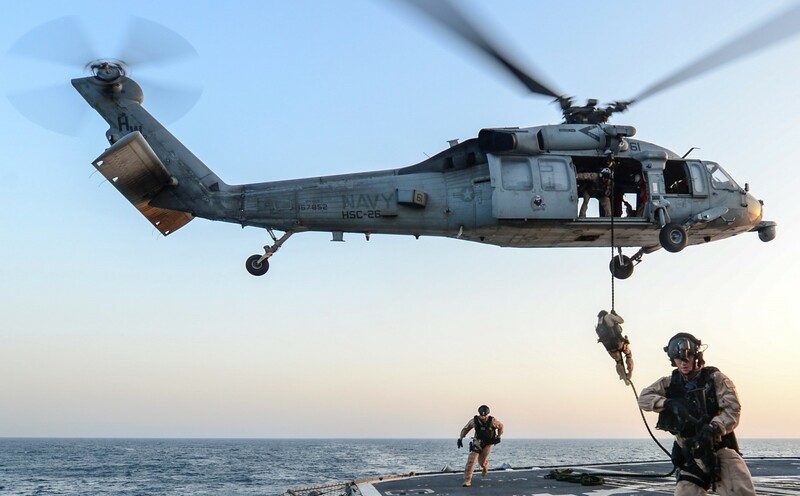 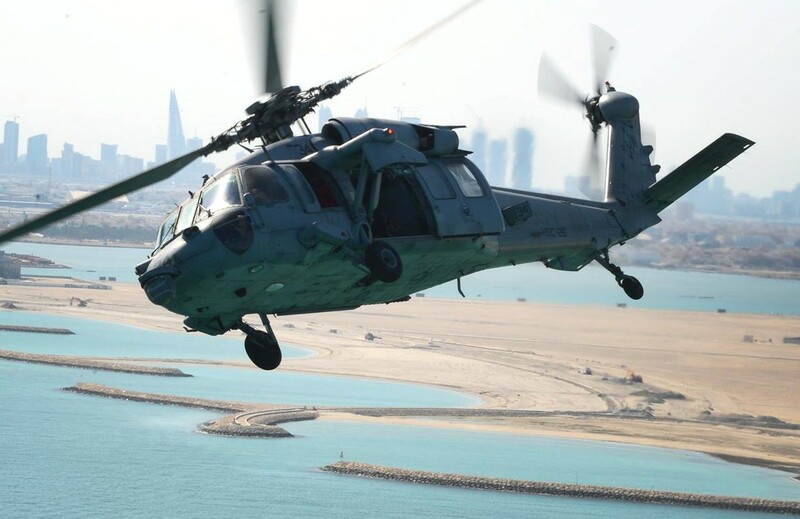 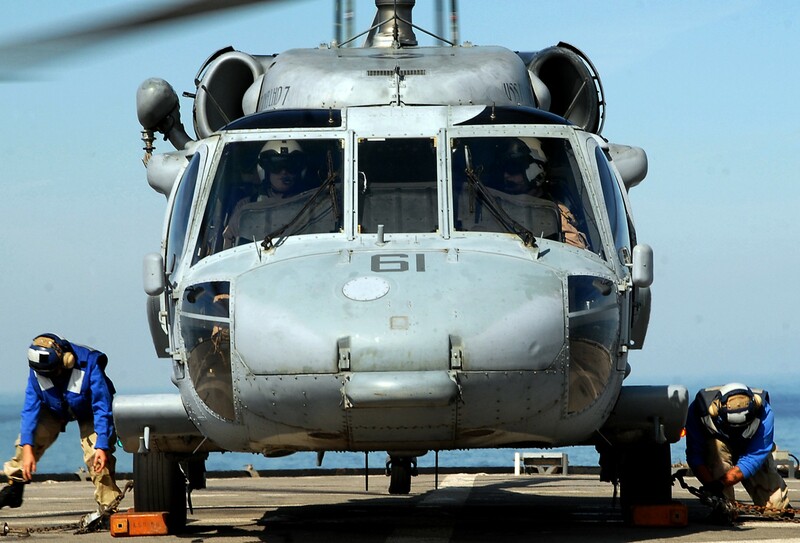 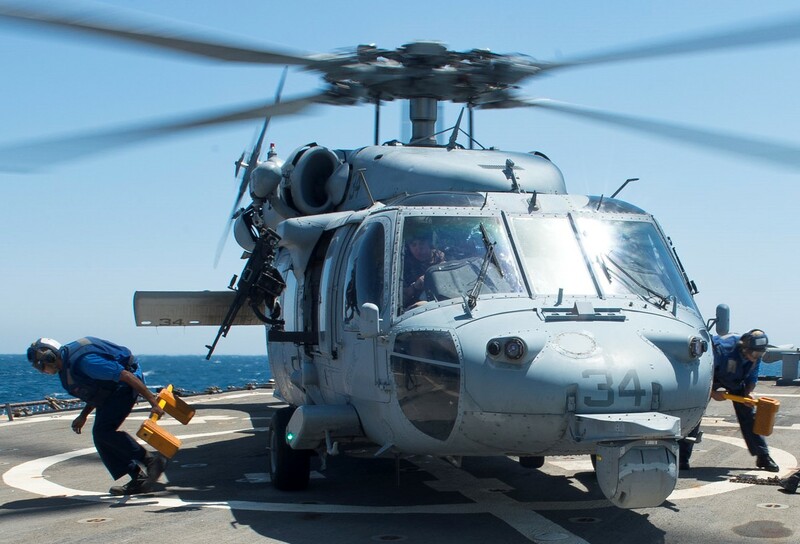 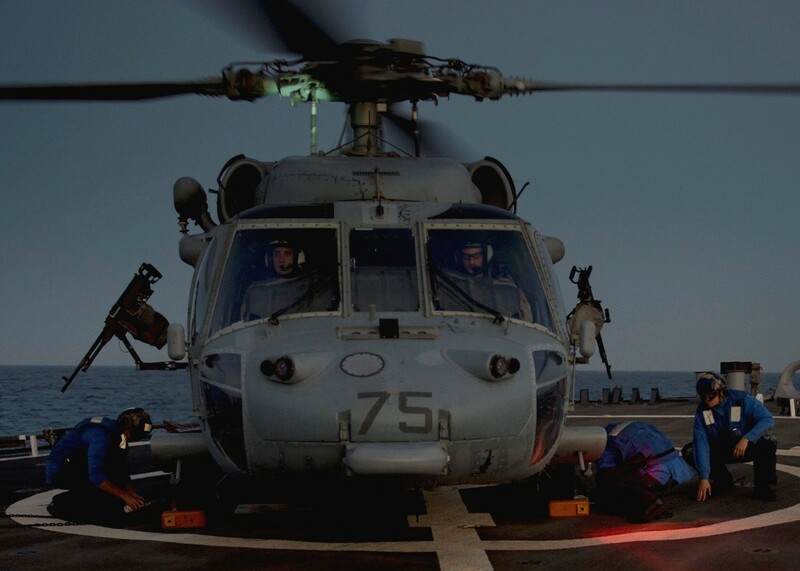 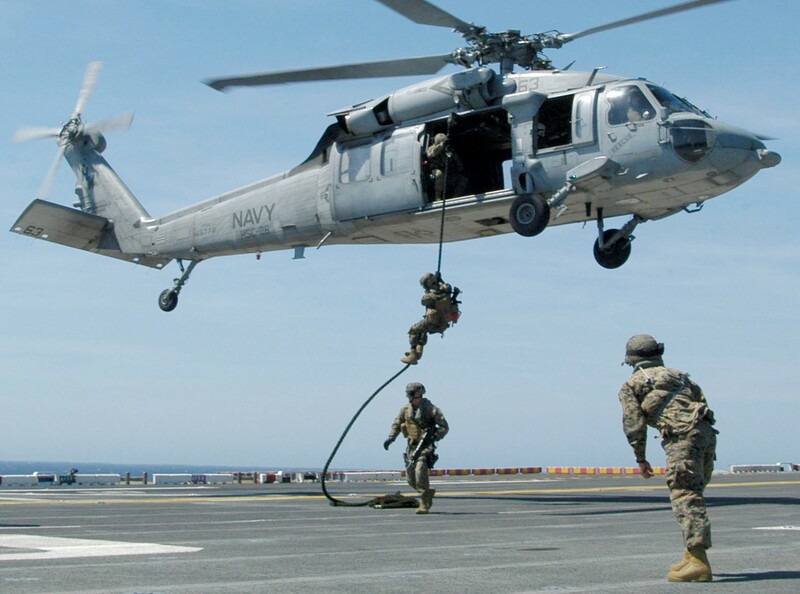 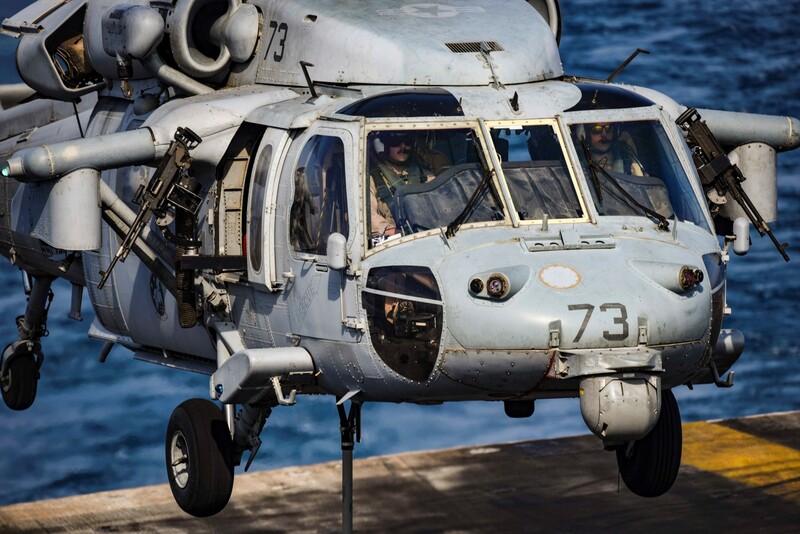 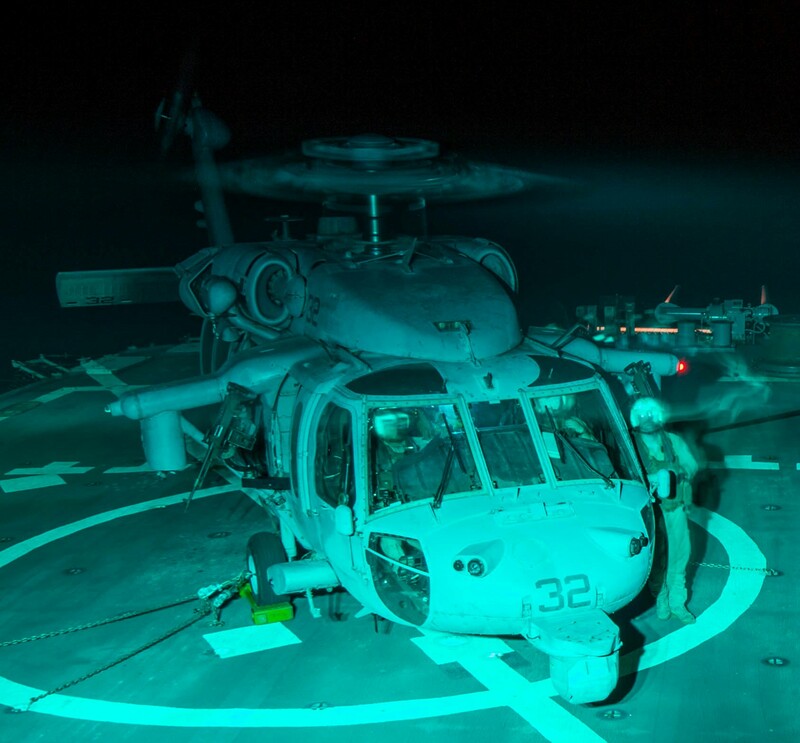 Throughout the Global War on Terror, HSC-26 blazed the path for Naval helicopter aviation in Operations IRAQI FREEDOM, ENDURING FREEDOM and countless deployments aboard ships of the line and support vessels around the world. 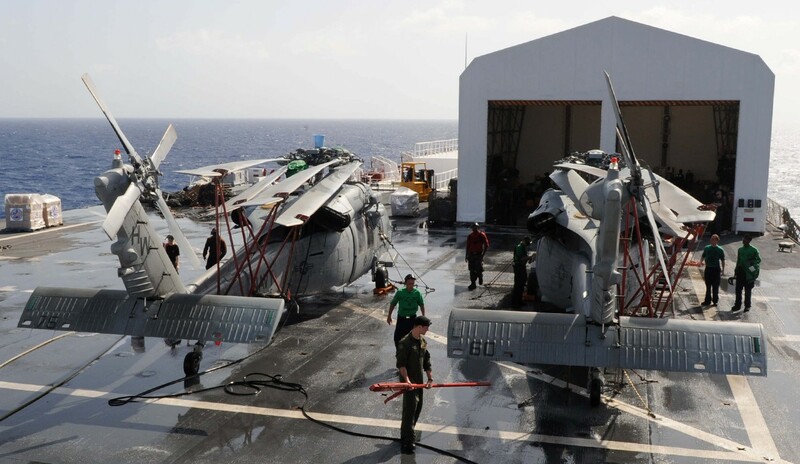 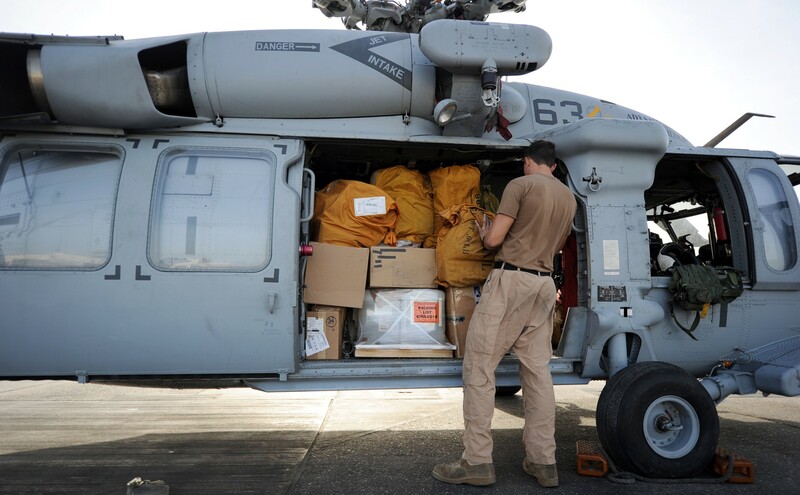 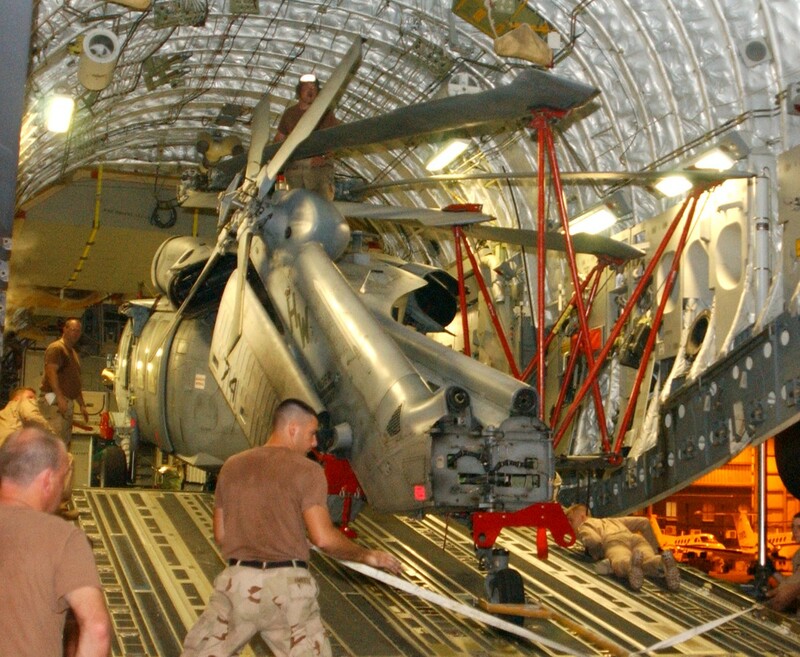 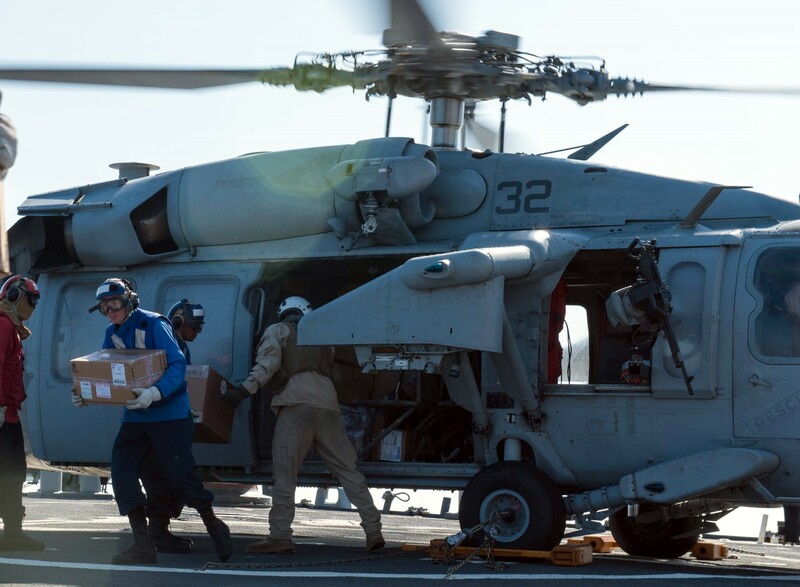 When they were needed, HSC-26 Chargers were ready to deploy aboard amphibious assault ships to support Humanitarian Aid and Disaster Relief operations in Haiti and Pakistan, as well as here at home when Hurricane Katrina devastated New Orleans and Superstorm Sandy assaulted the northeastern United States. 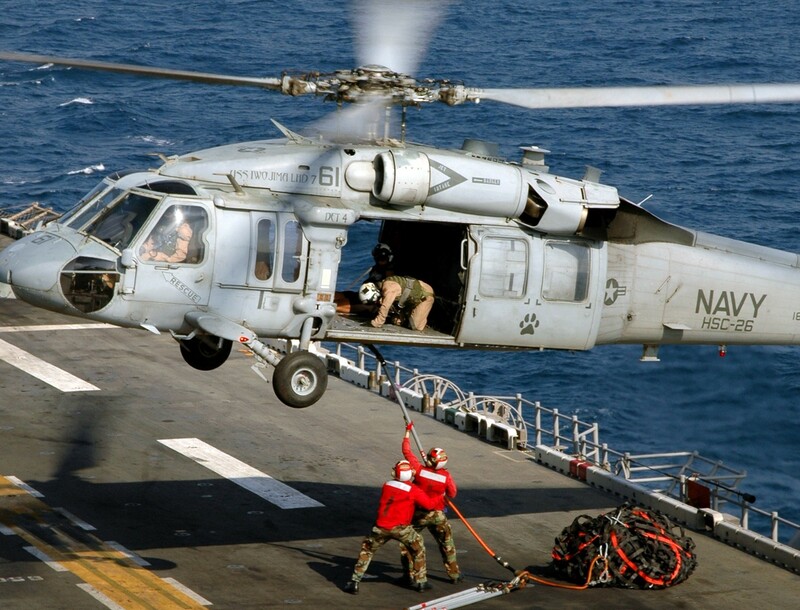 By 2010, HSC-26 had grown to 20 helicopters and 430 Sailors, flying more than 7,200 flight hours – the most of any fleet helicopter squadron. 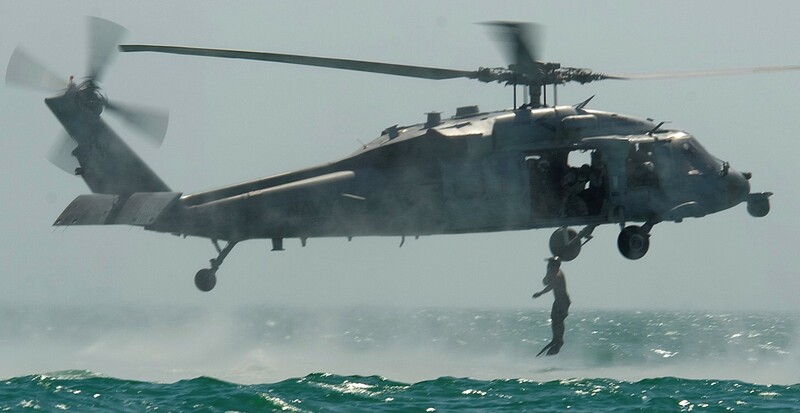 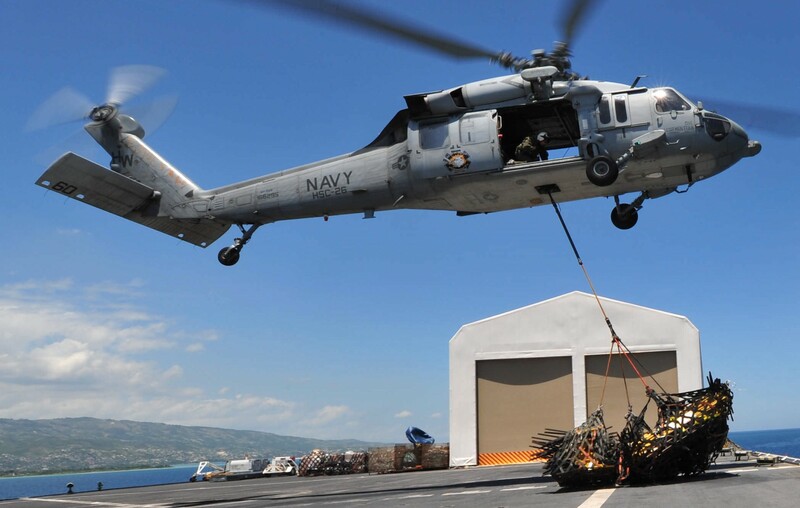 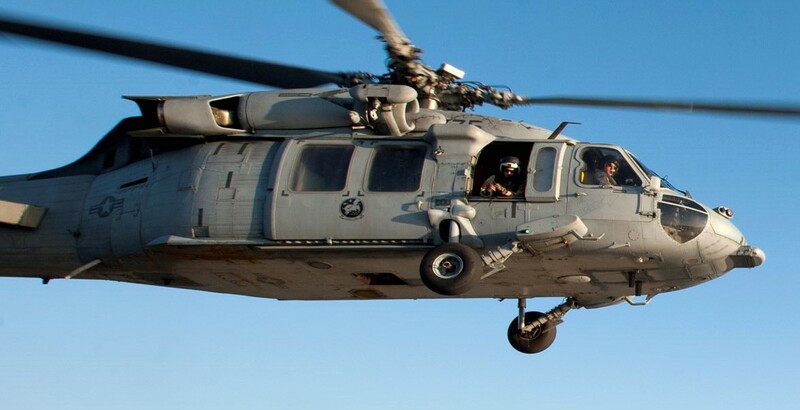 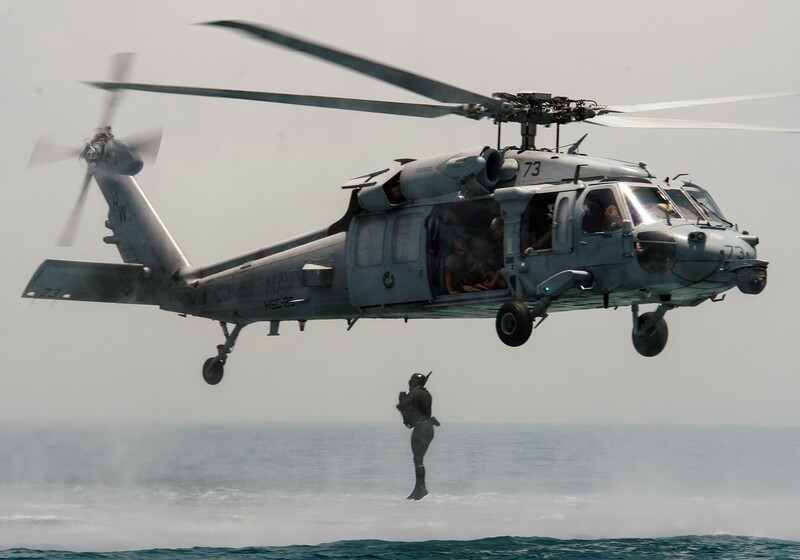 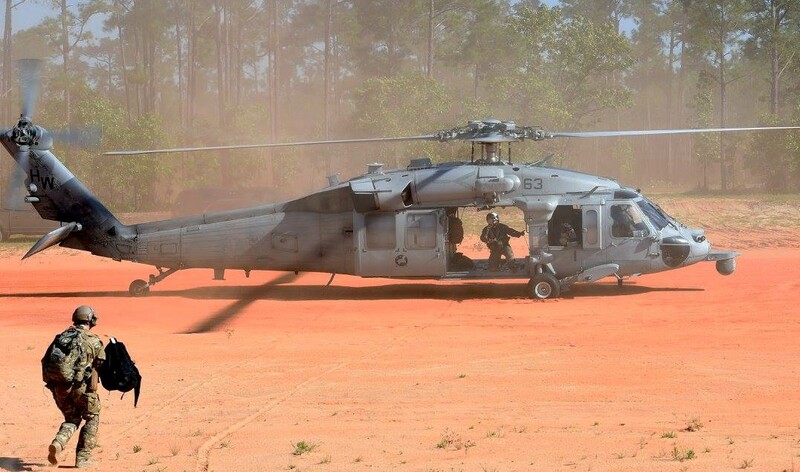 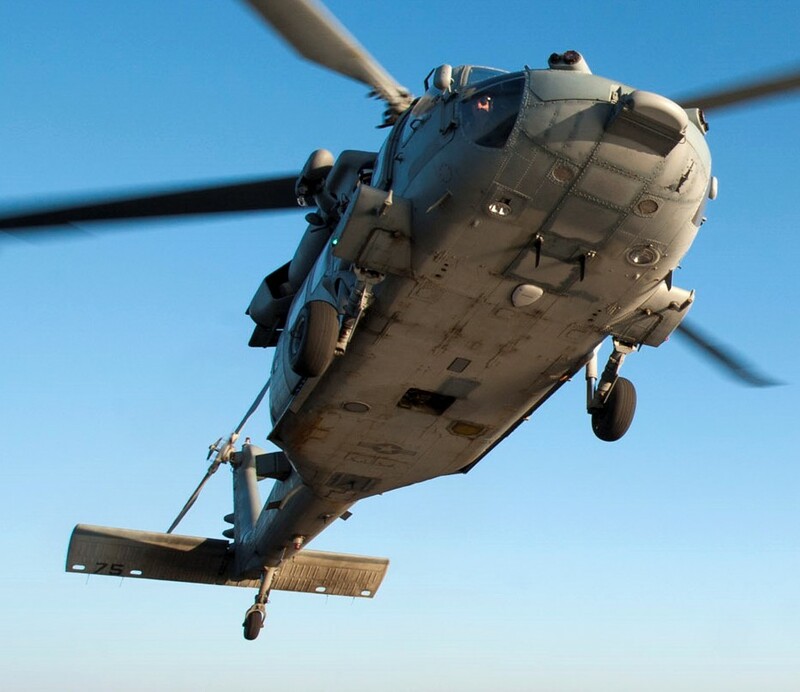 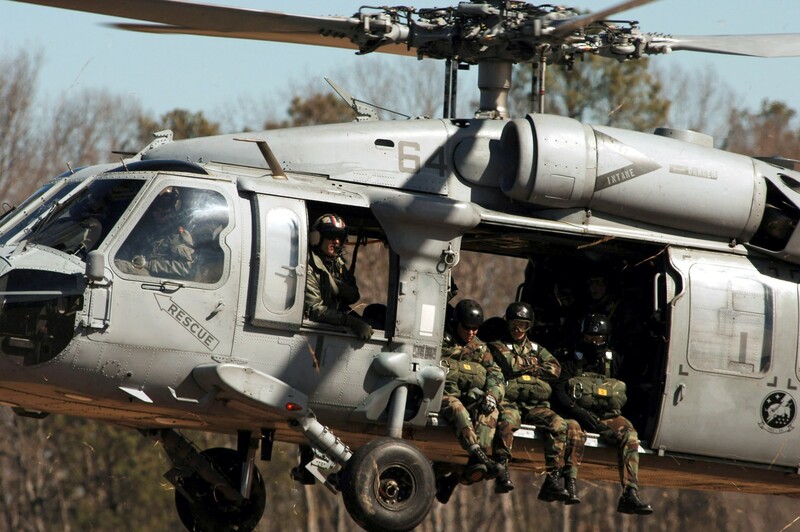 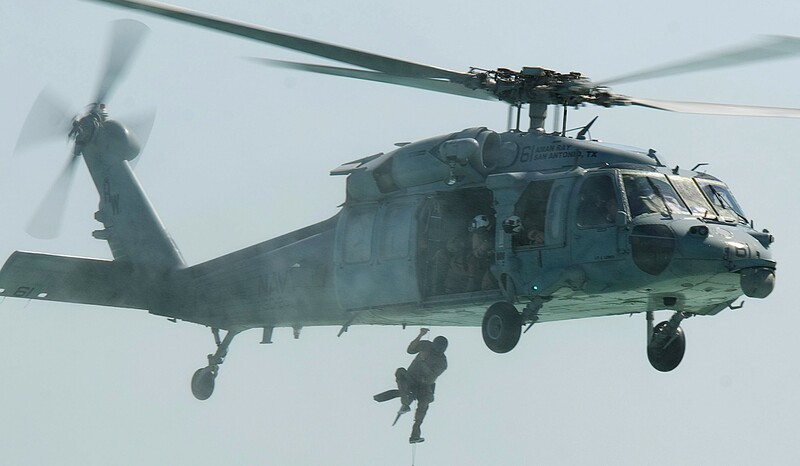 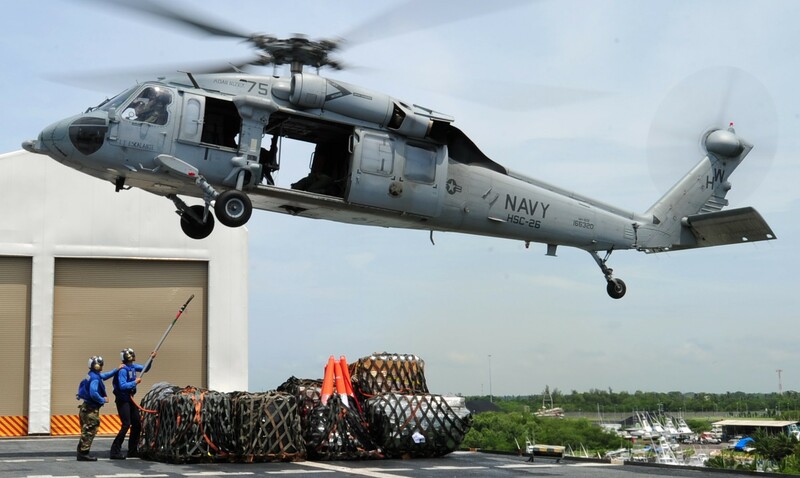 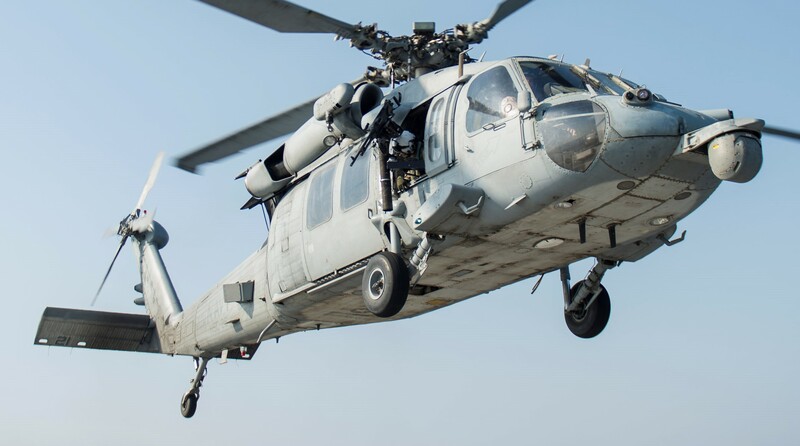 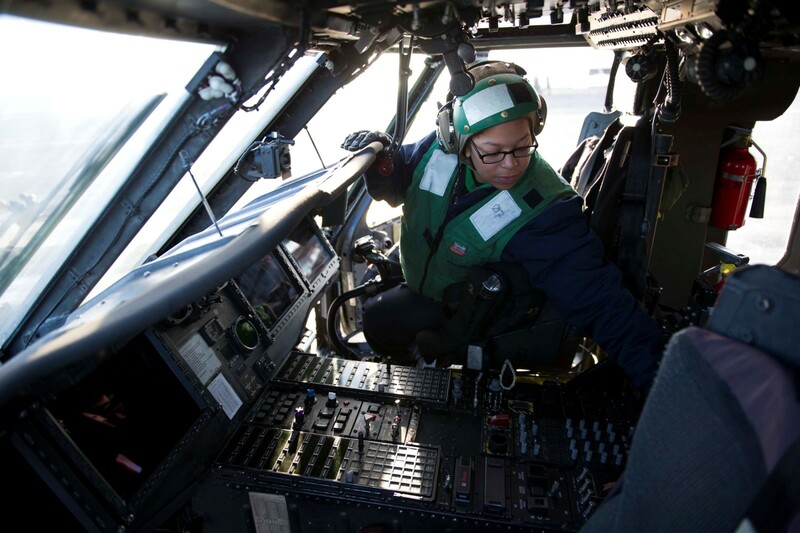 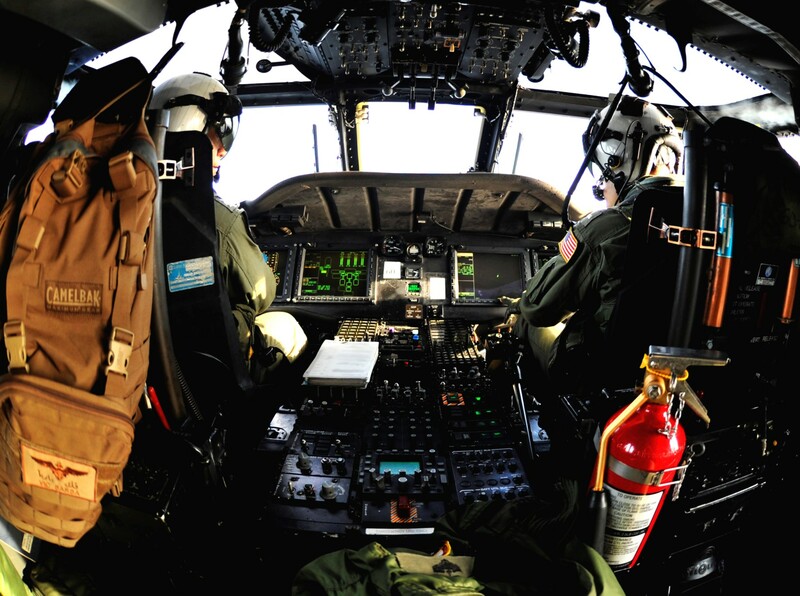 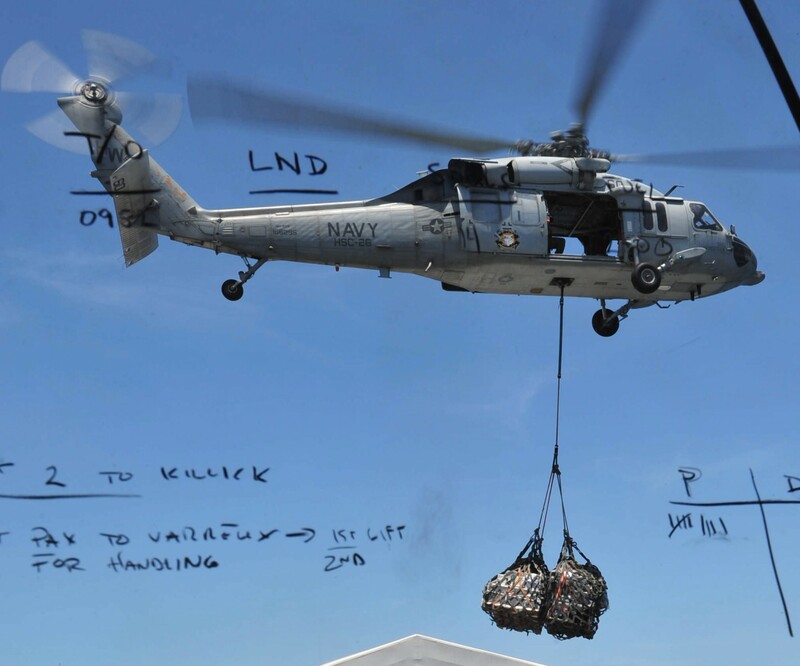 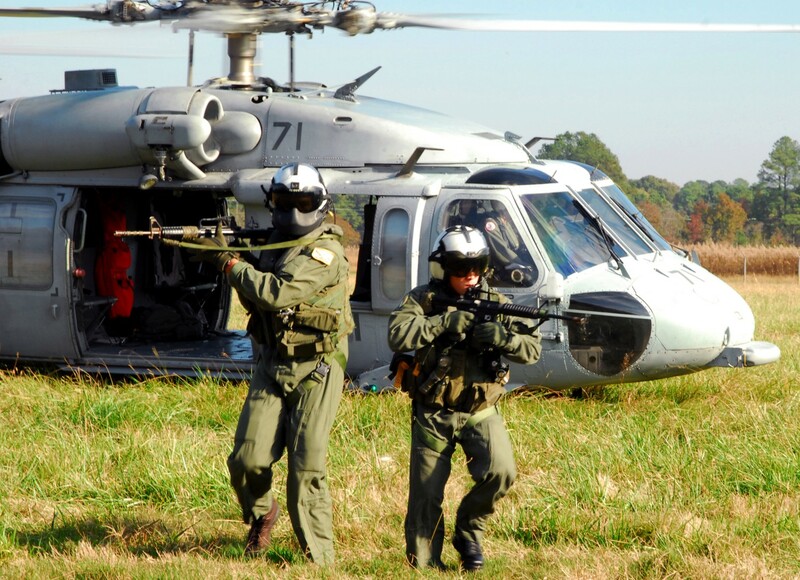 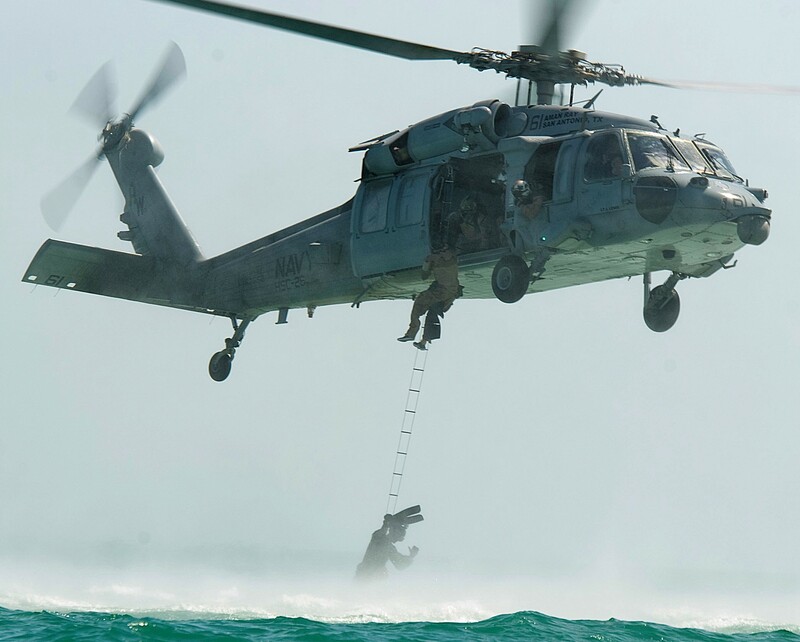 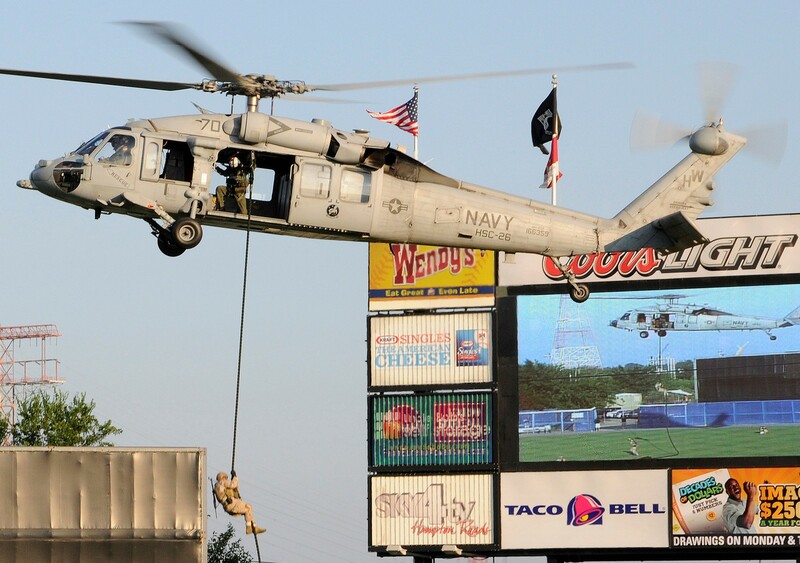 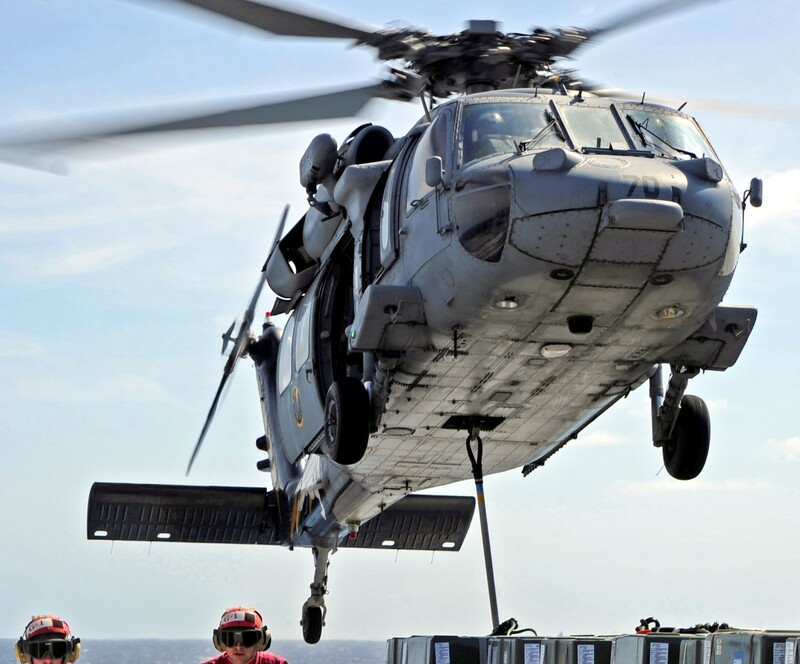 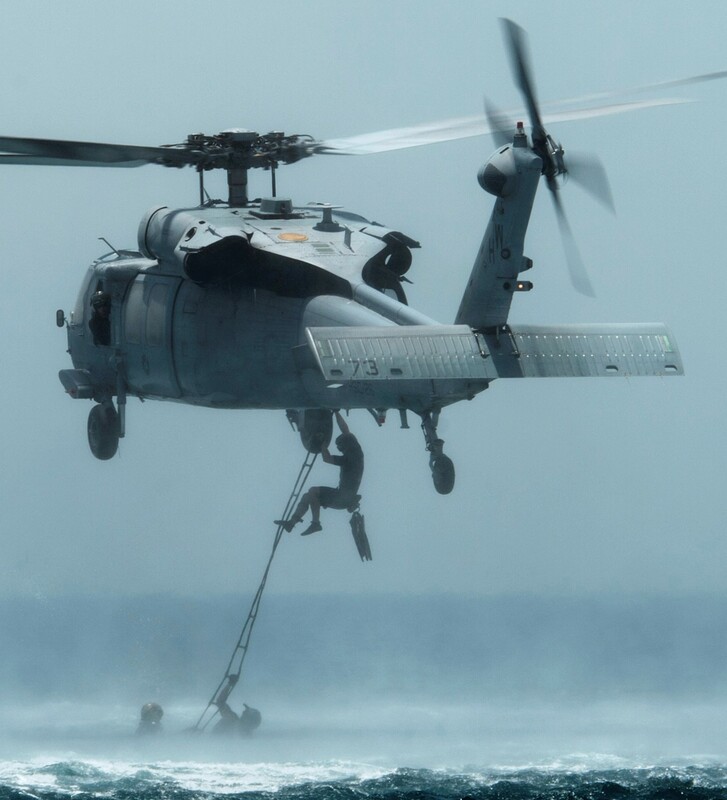 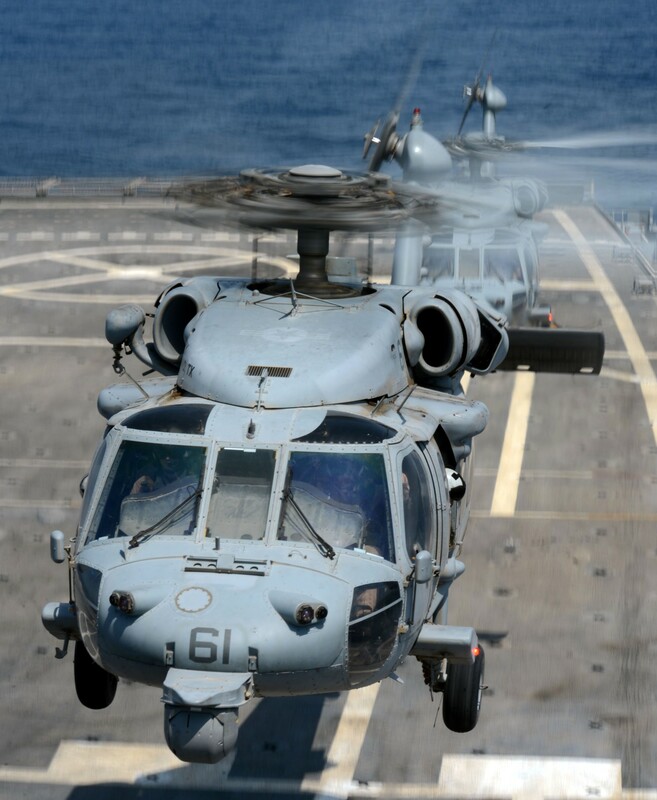 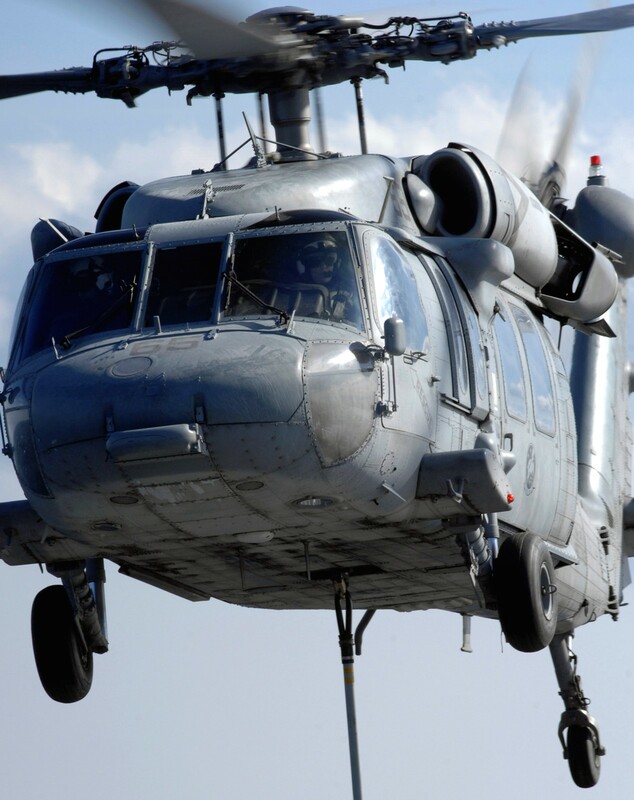 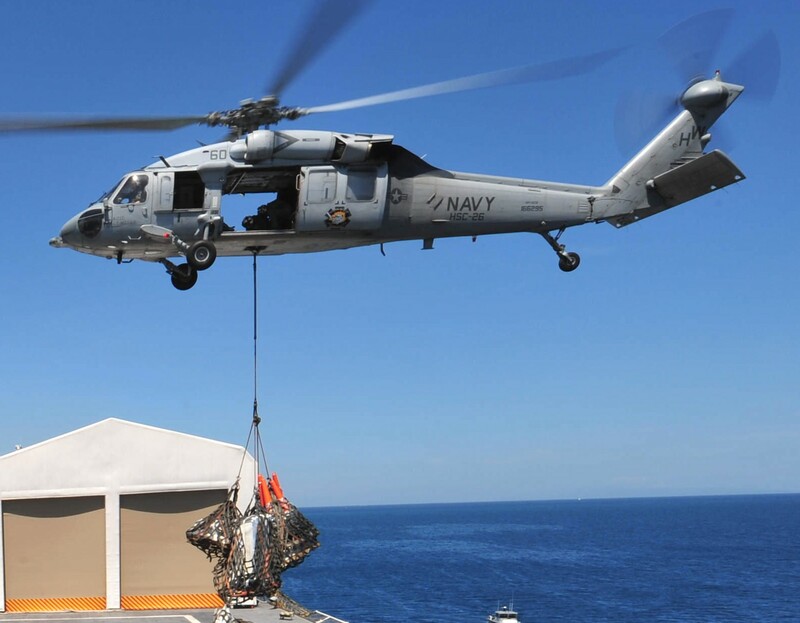 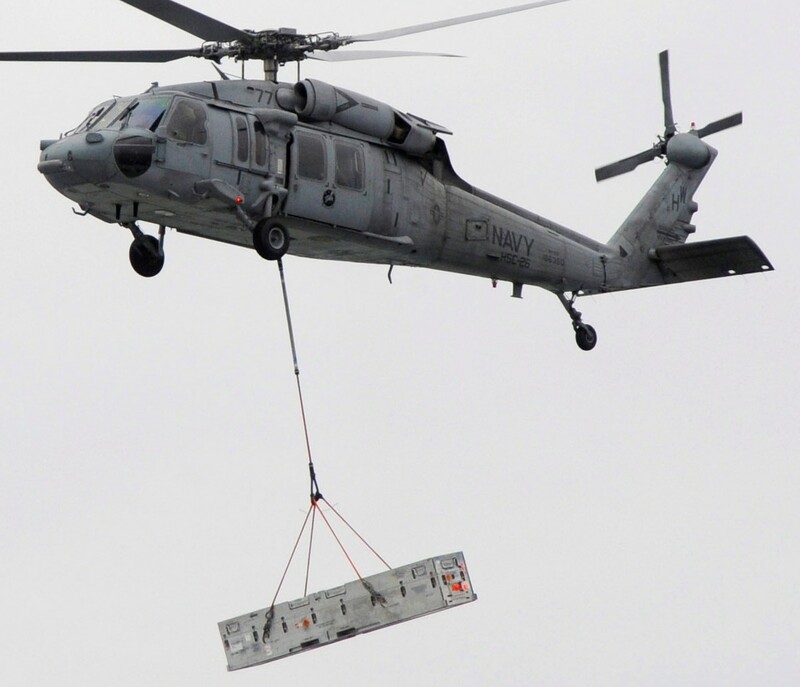 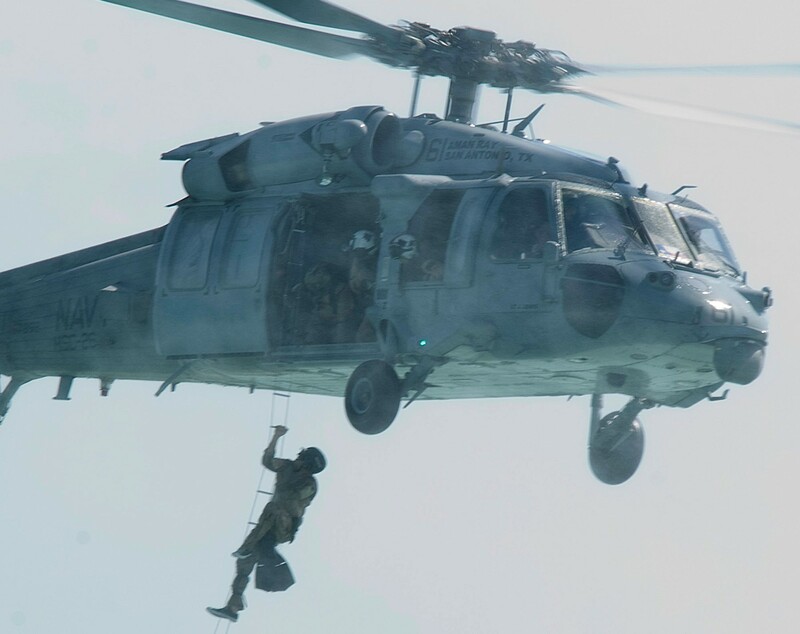 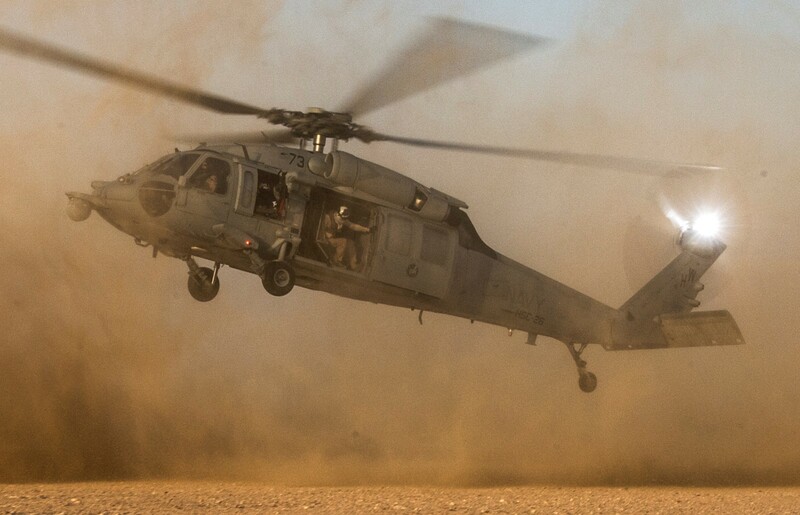 In 2014, the mission set grew once again when HSC-26 was chosen as the first MH-60S squadron to field, operate and deploy the mission packages that will support Organic Airborne Mine-Countermeasures (OAMCM) for decades to come. 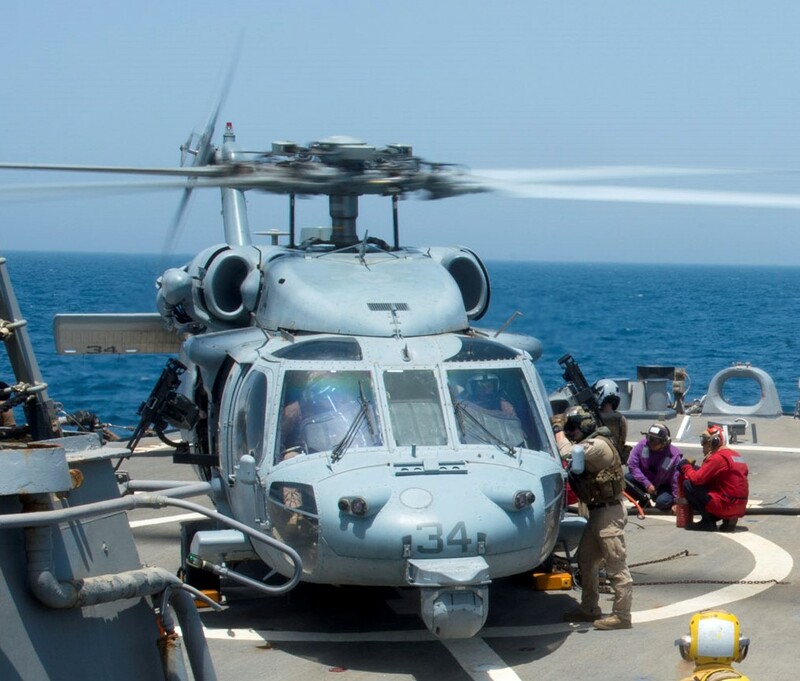 HSC-26 DET TWO has already deployed twice with the newest AMCM mission packages, supporting International Mine-Countermeasures Exercise 2014 (IMCMEX 2014) and developing new tactics for the rest of the fleet in this new mission area, while also conducting the first MH-60S deployment aboard USS Independence (LCS-2).